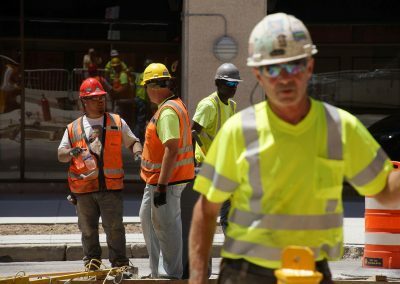 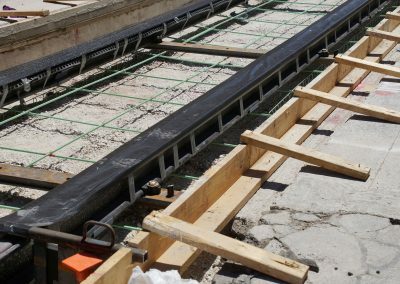 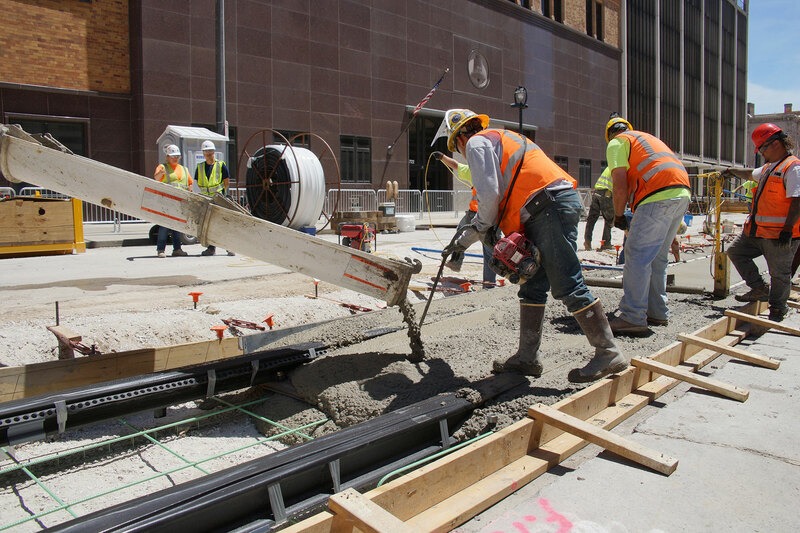 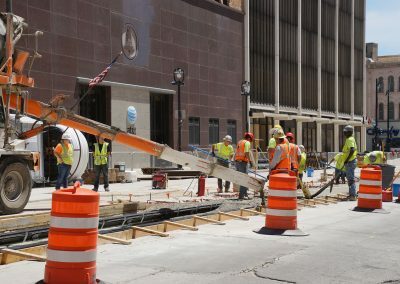 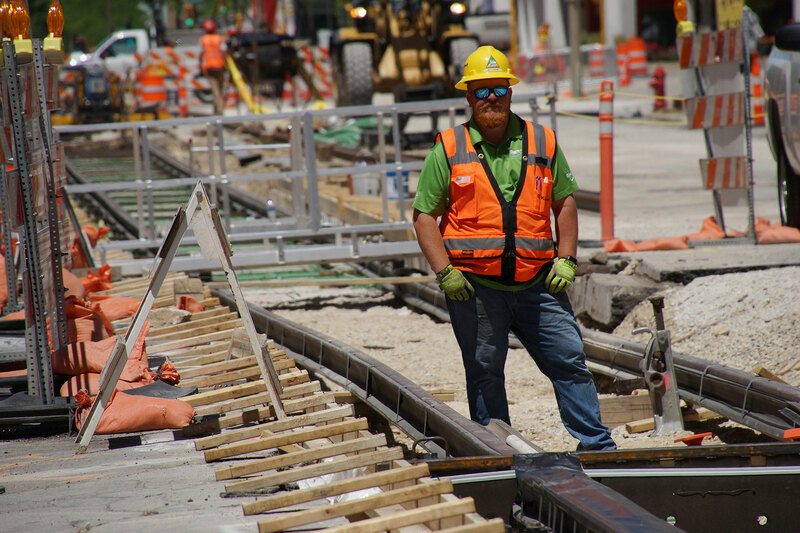 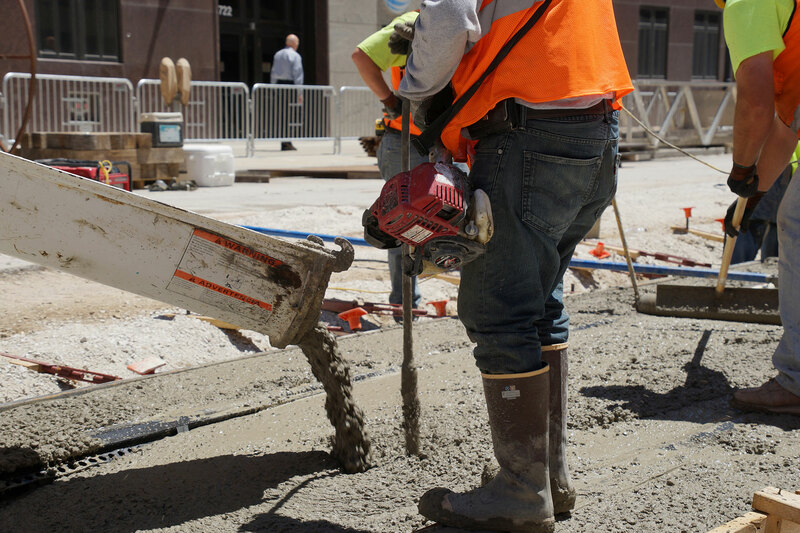 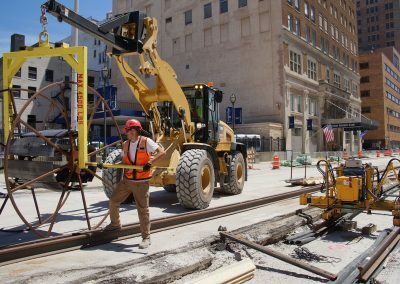 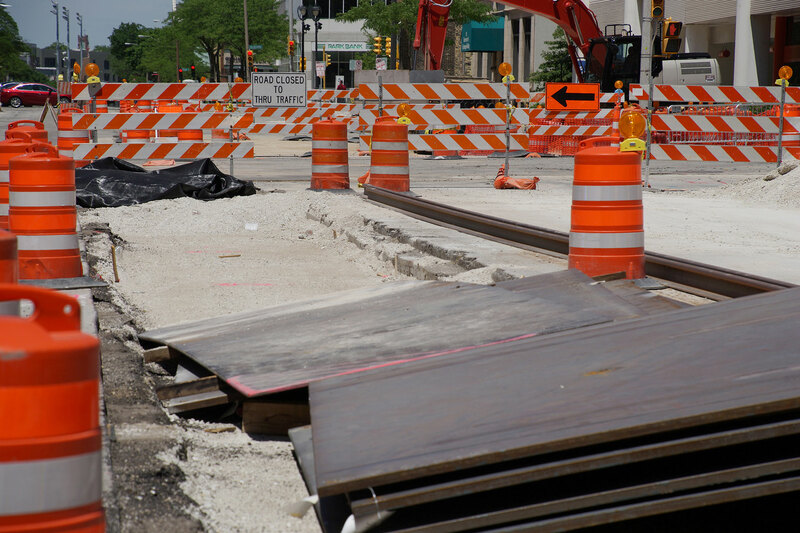 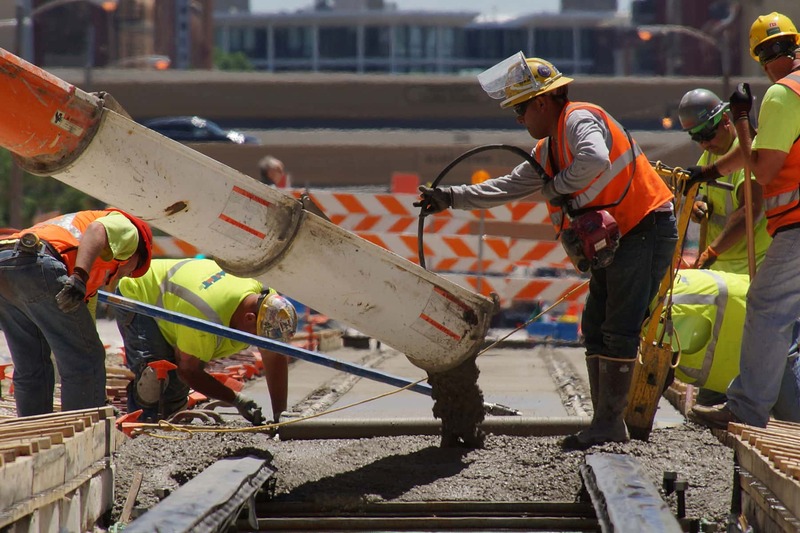 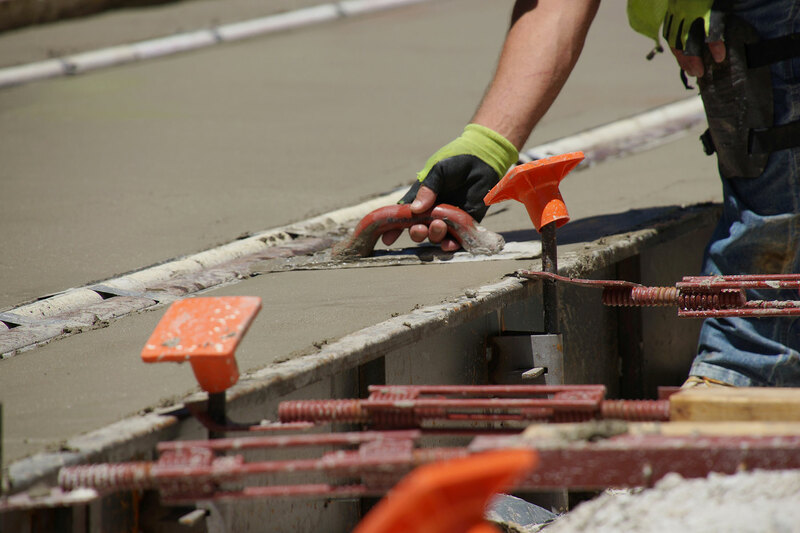 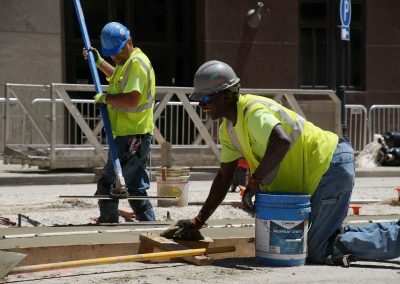 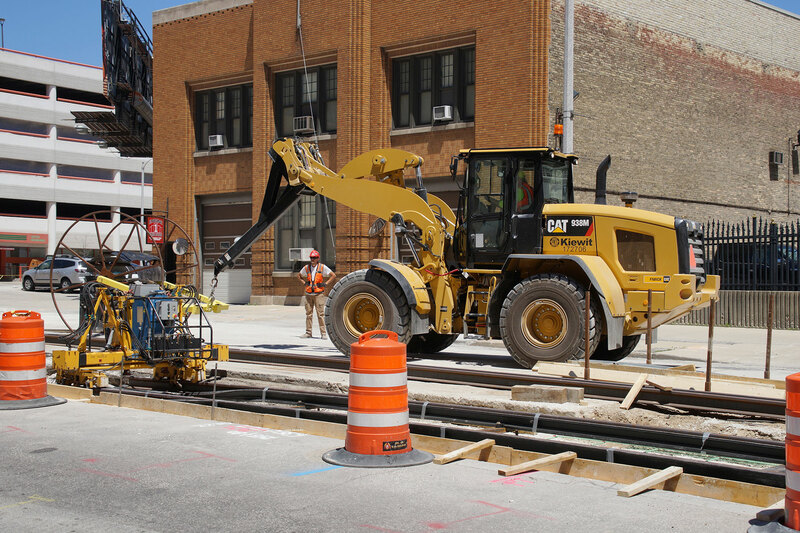 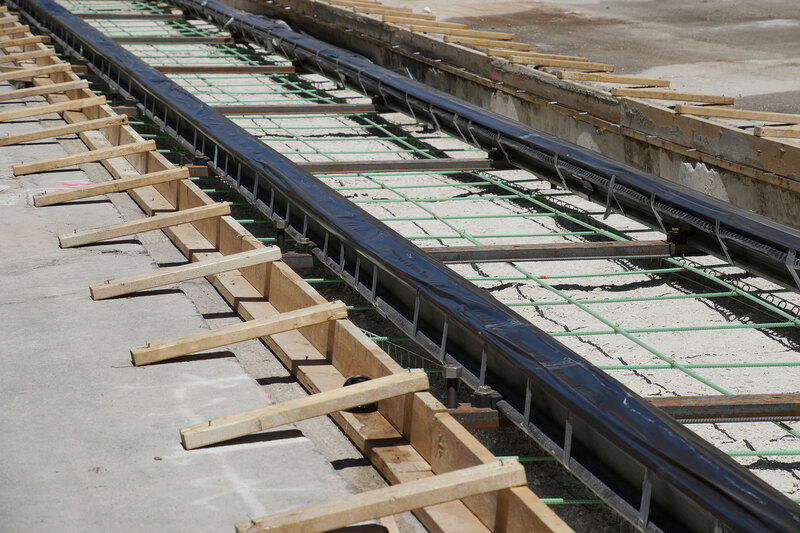 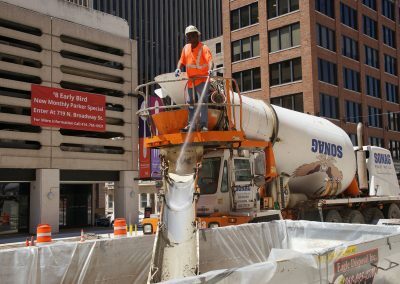 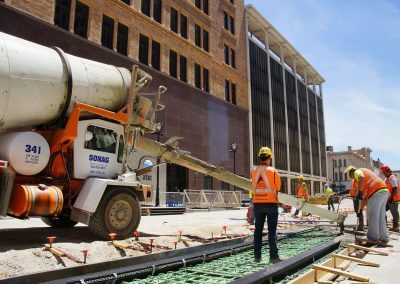 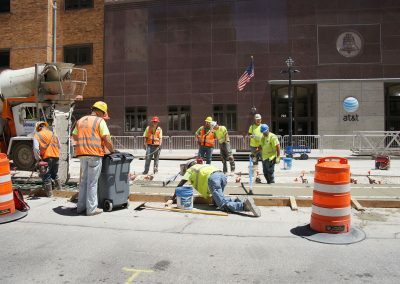 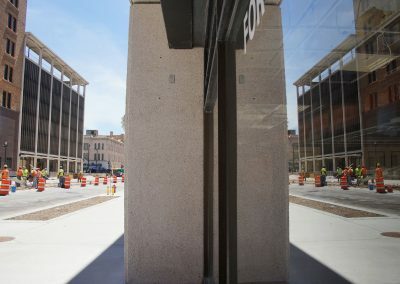 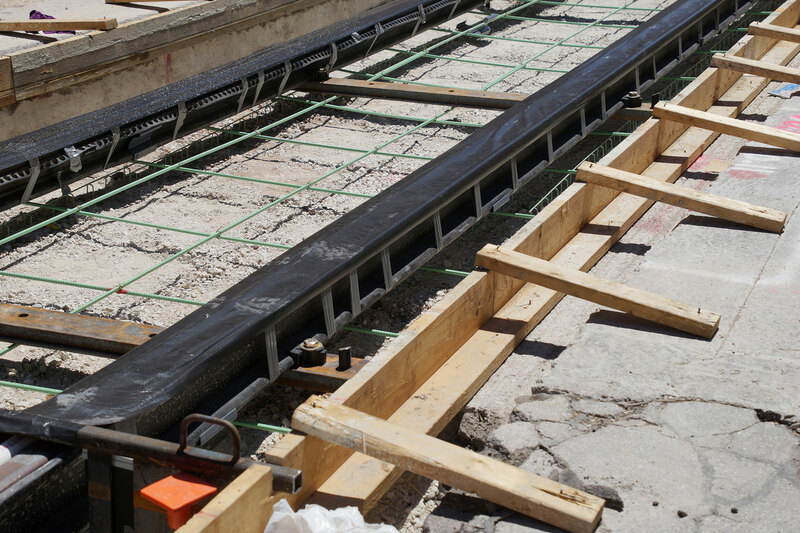 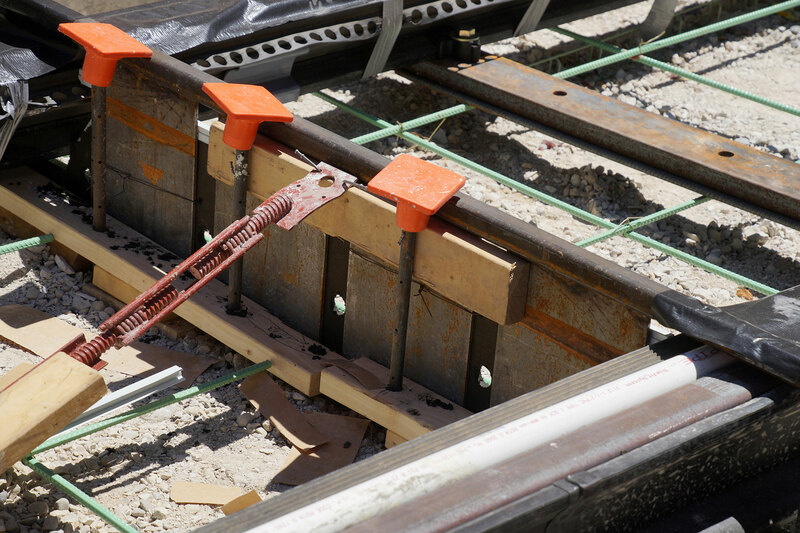 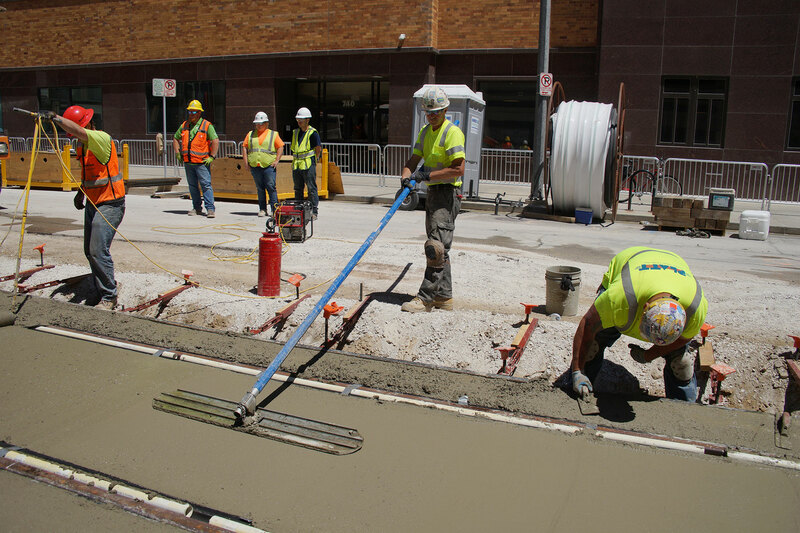 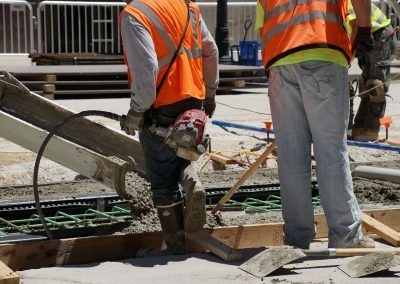 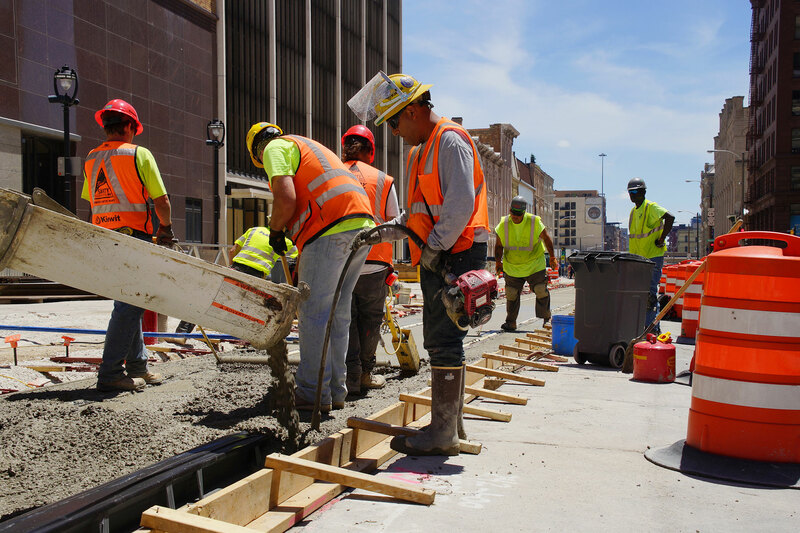 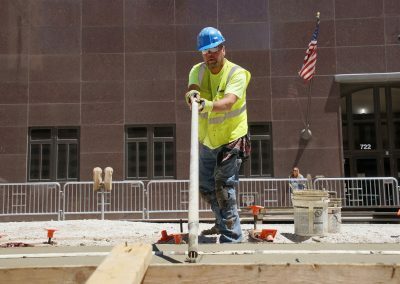 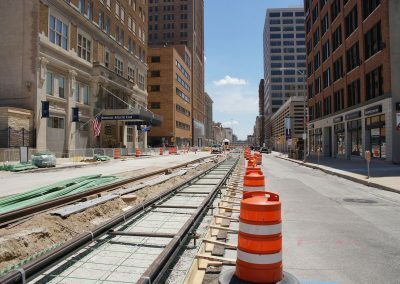 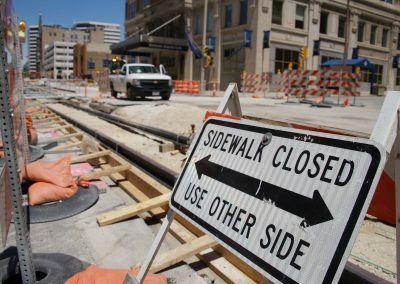 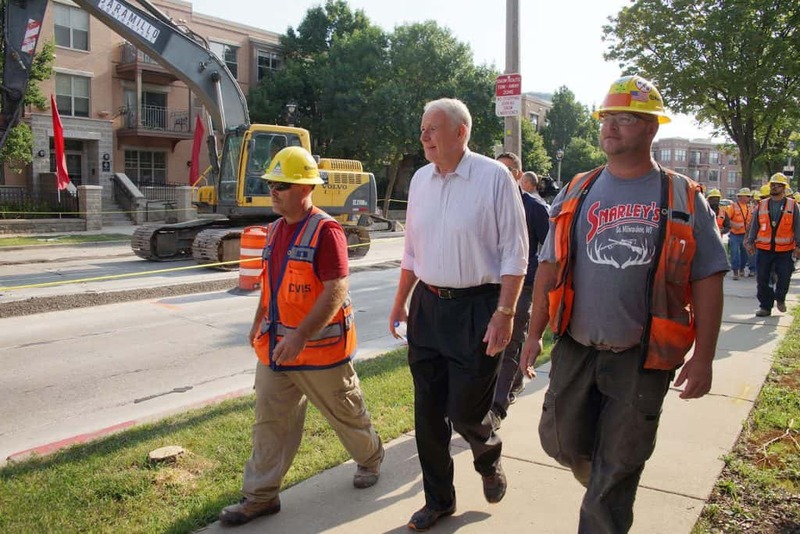 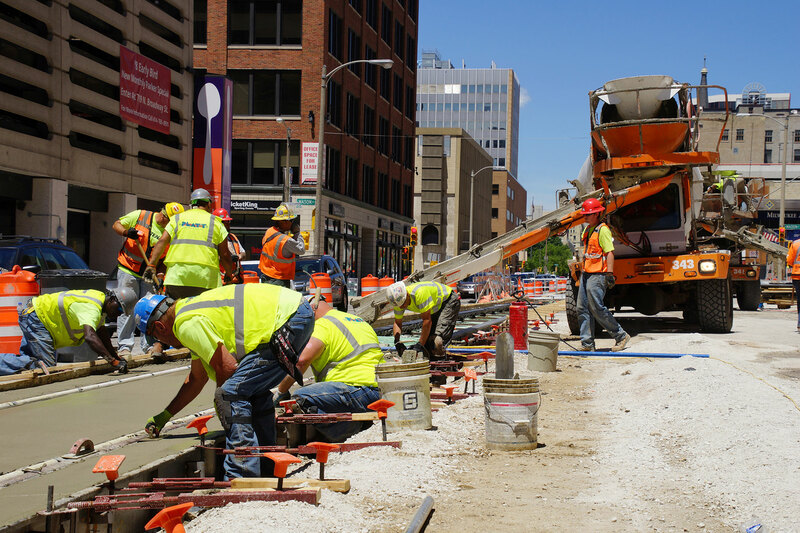 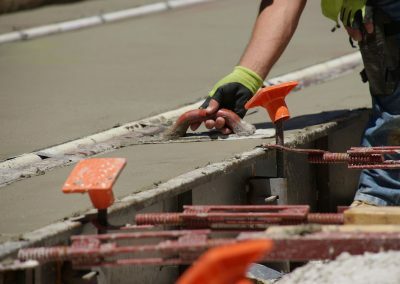 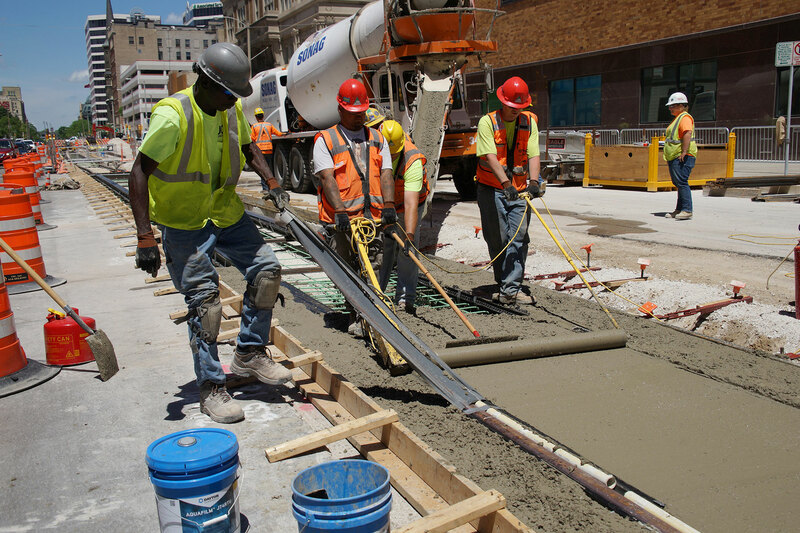 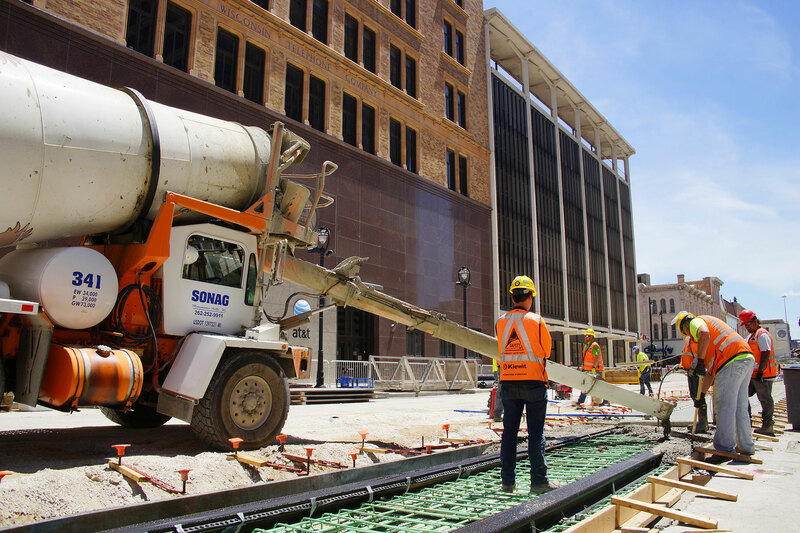 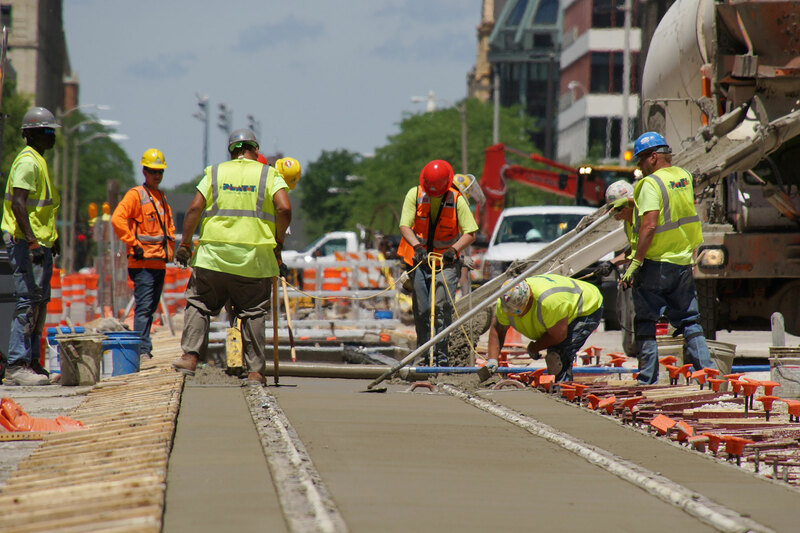 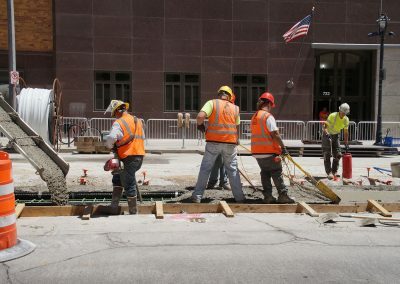 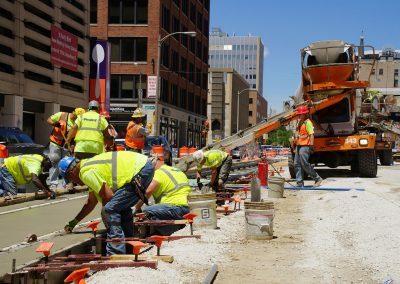 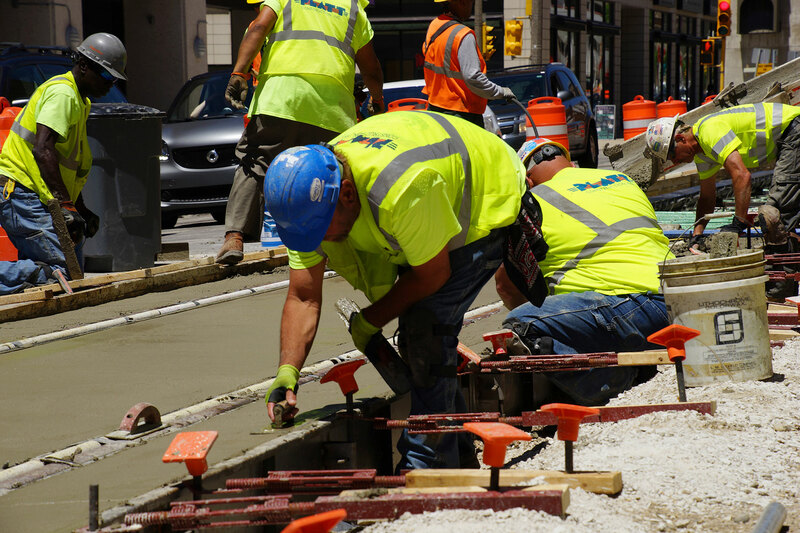 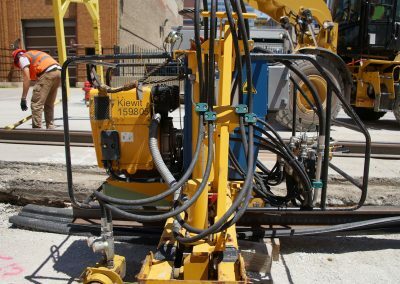 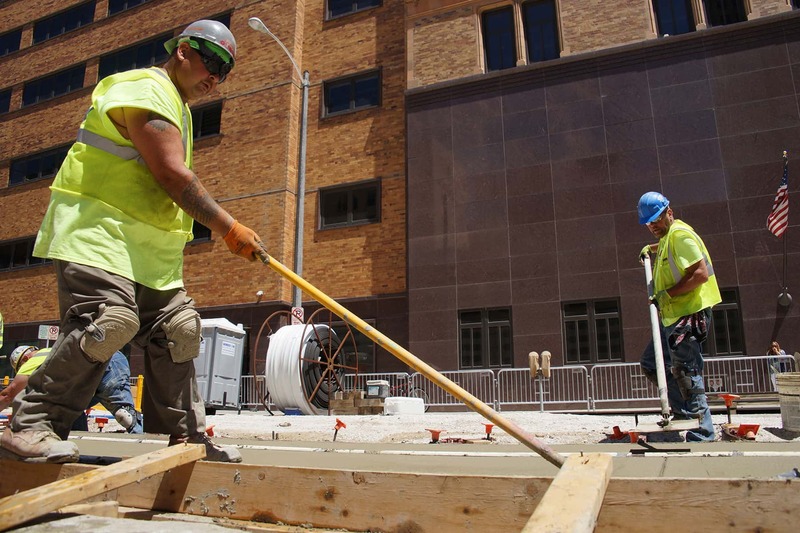 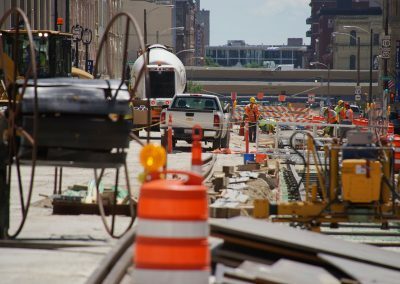 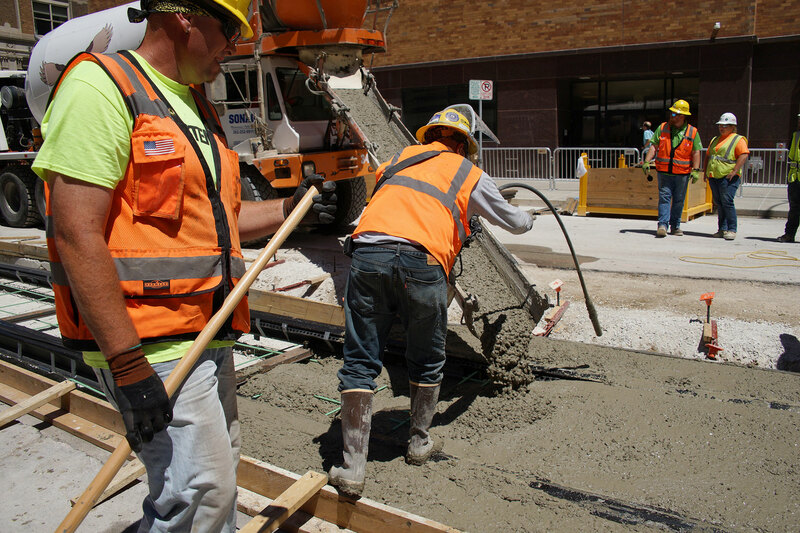 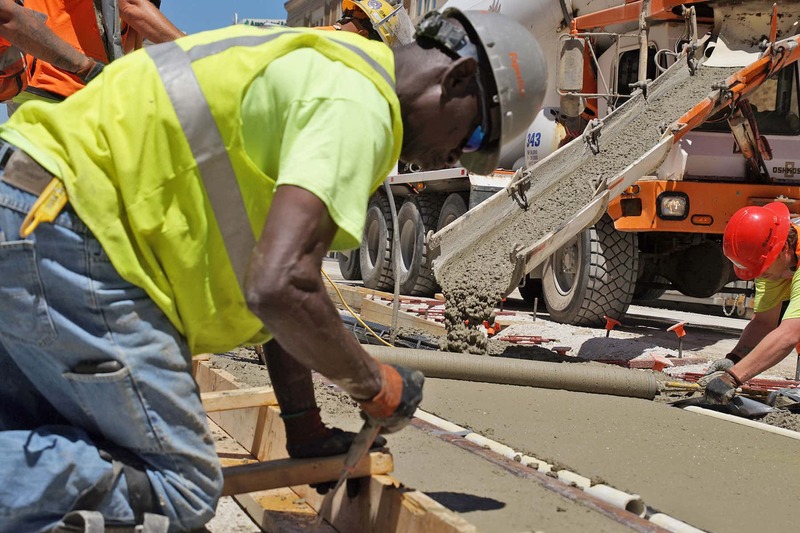 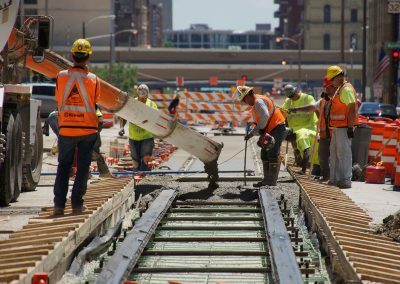 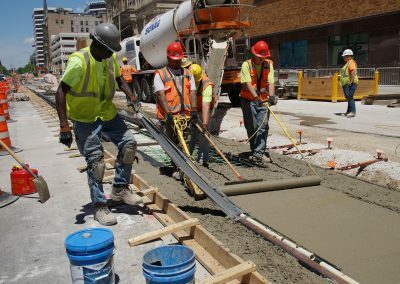 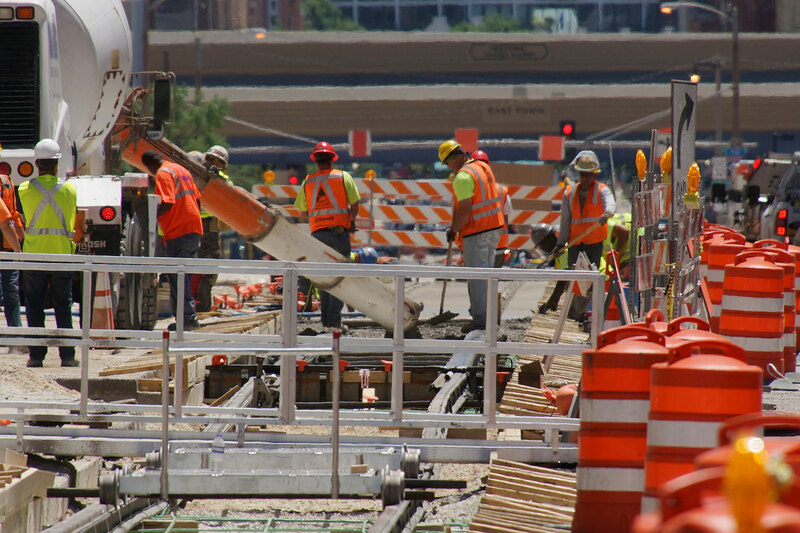 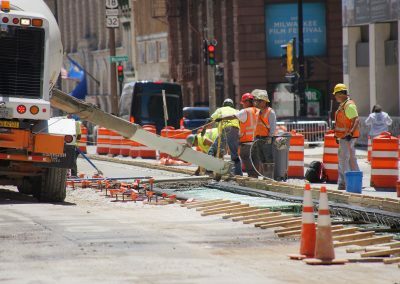 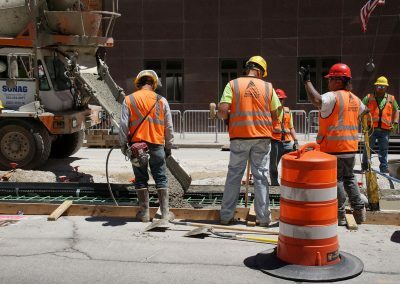 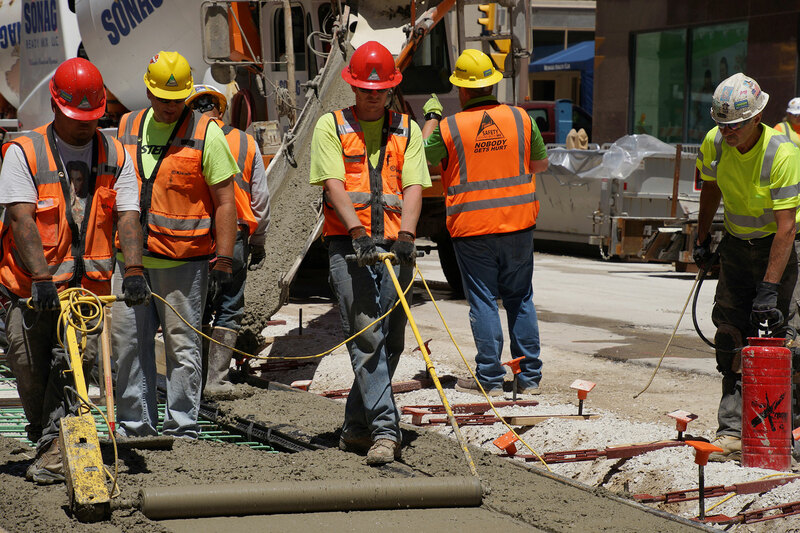 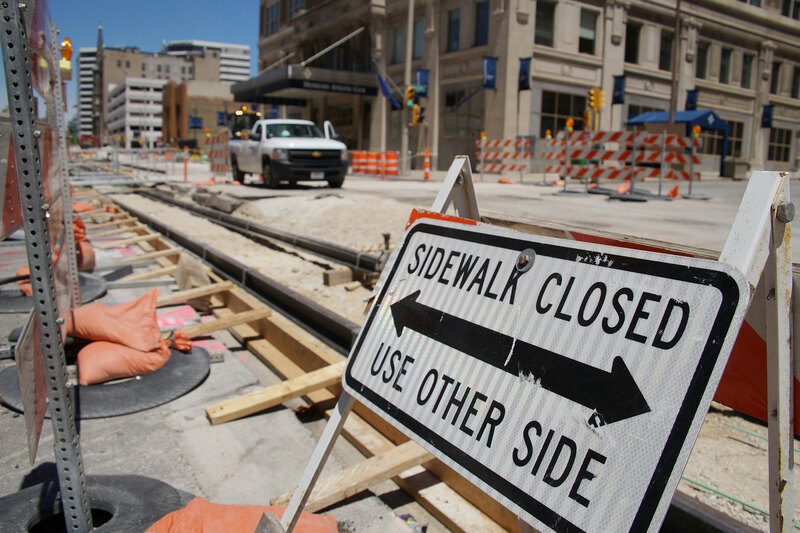 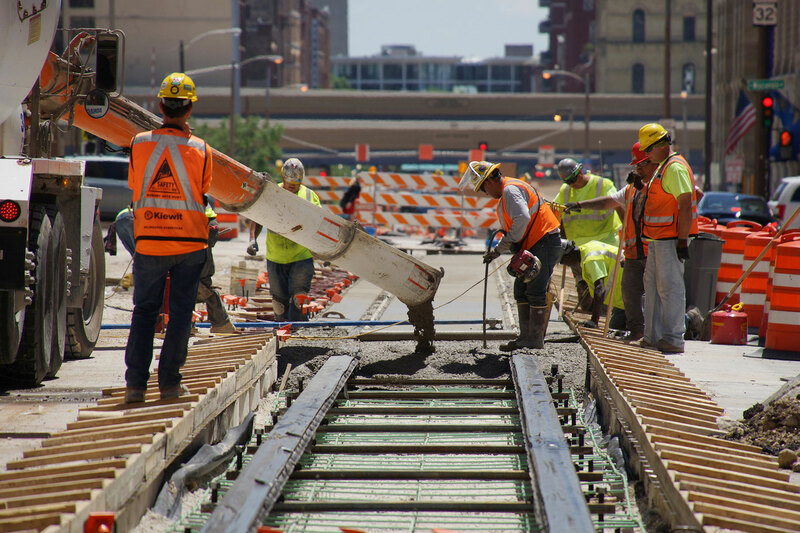 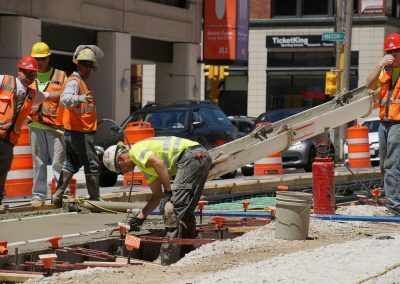 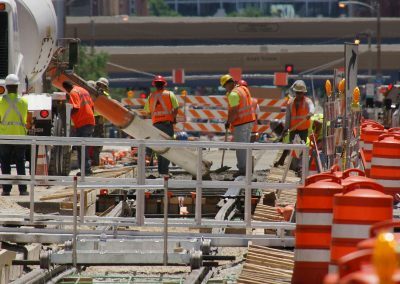 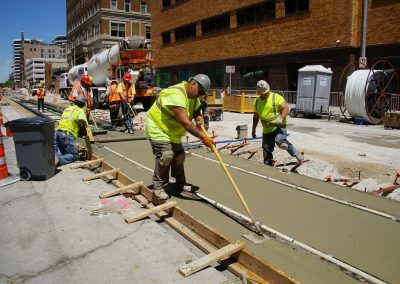 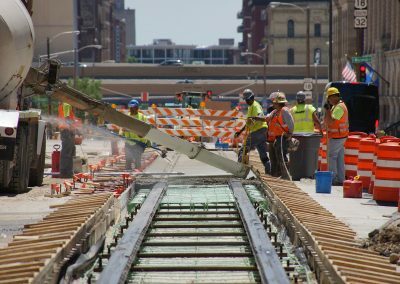 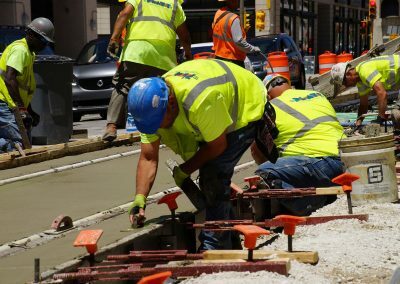 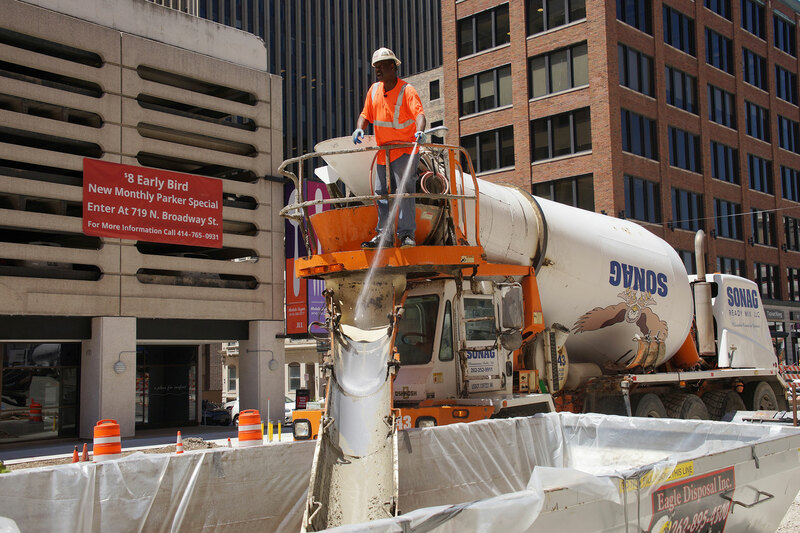 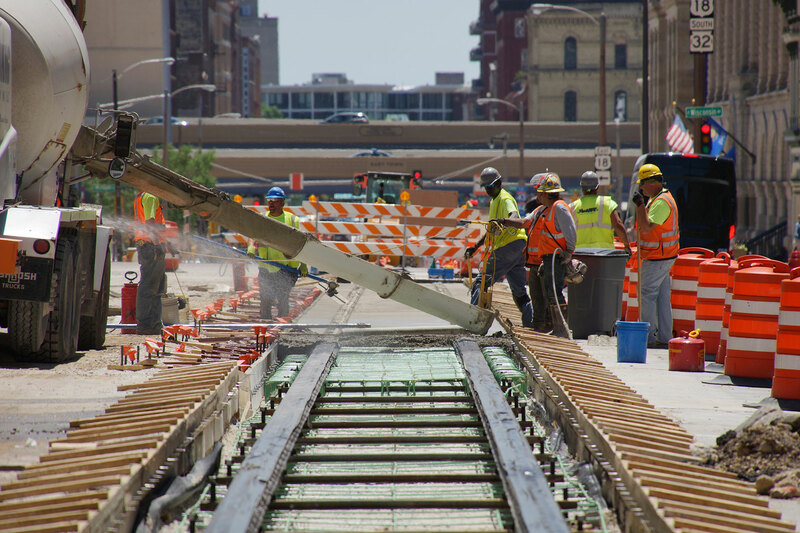 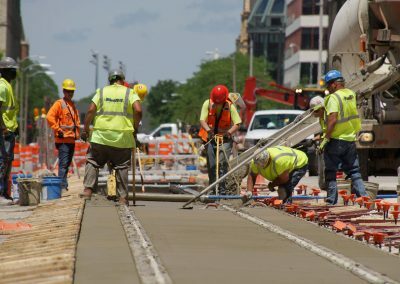 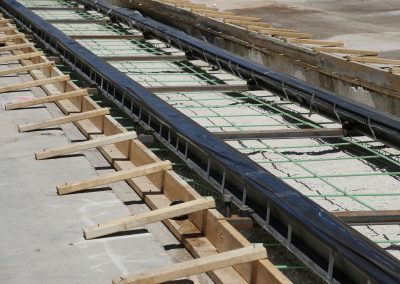 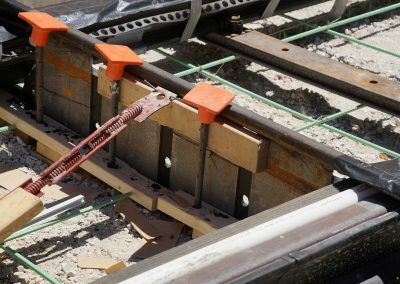 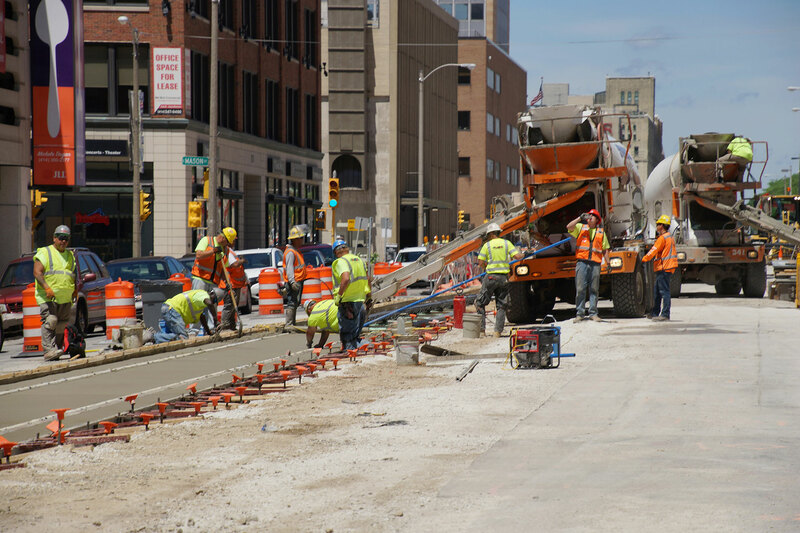 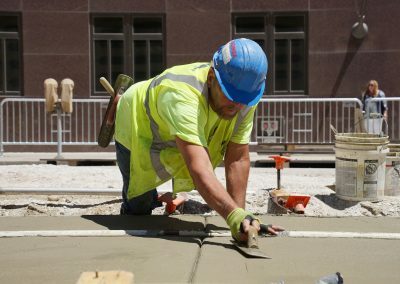 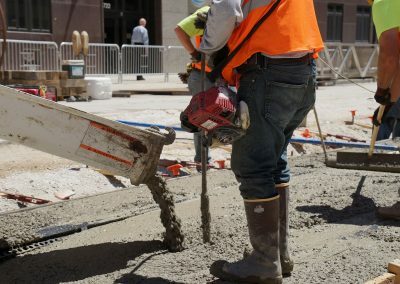 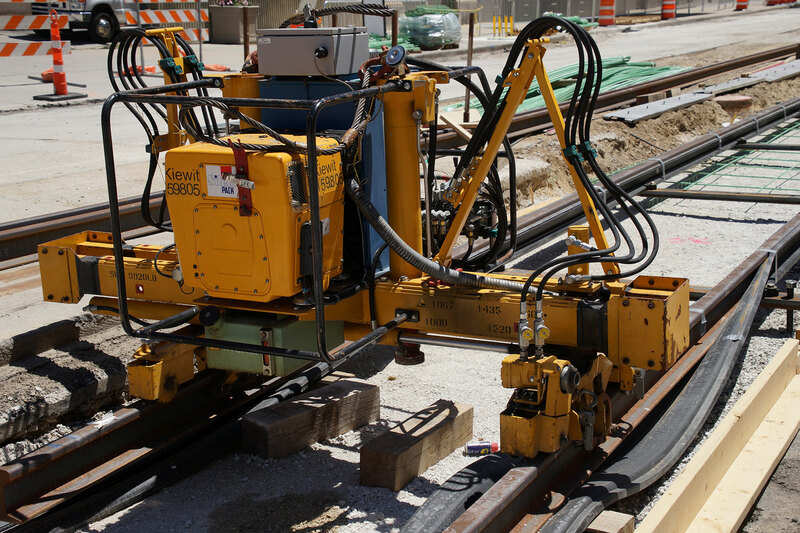 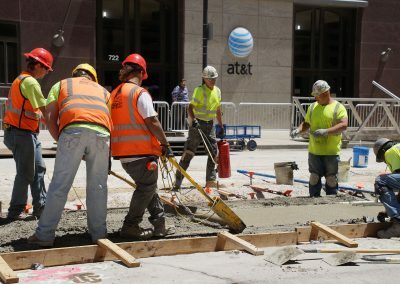 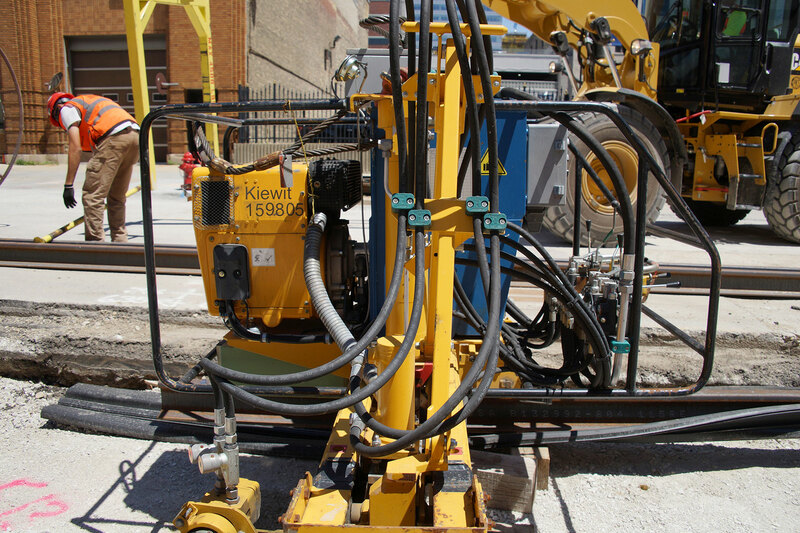 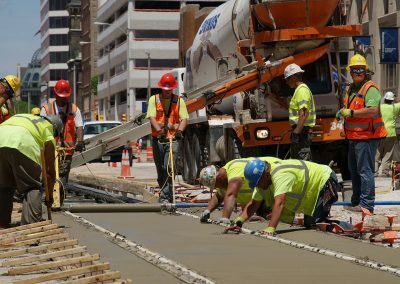 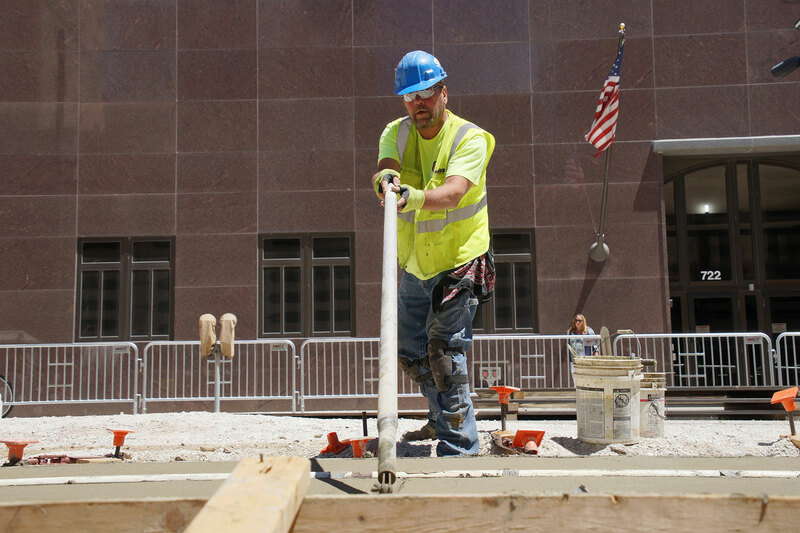 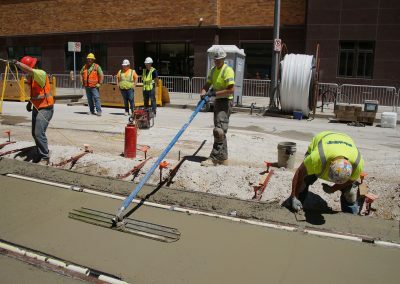 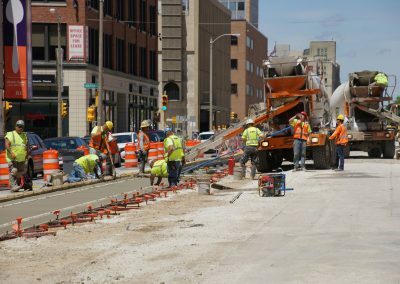 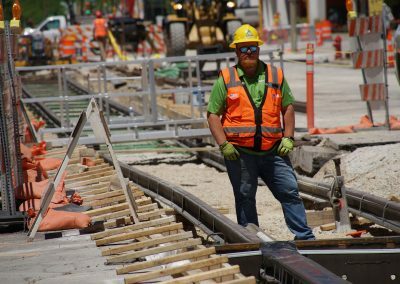 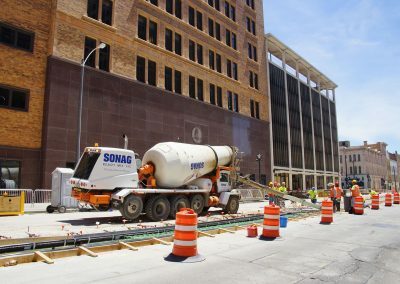 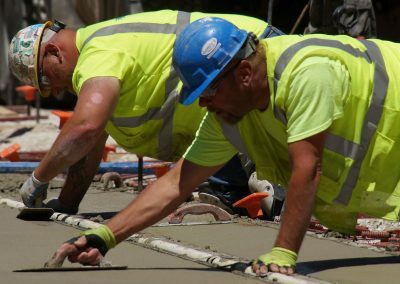 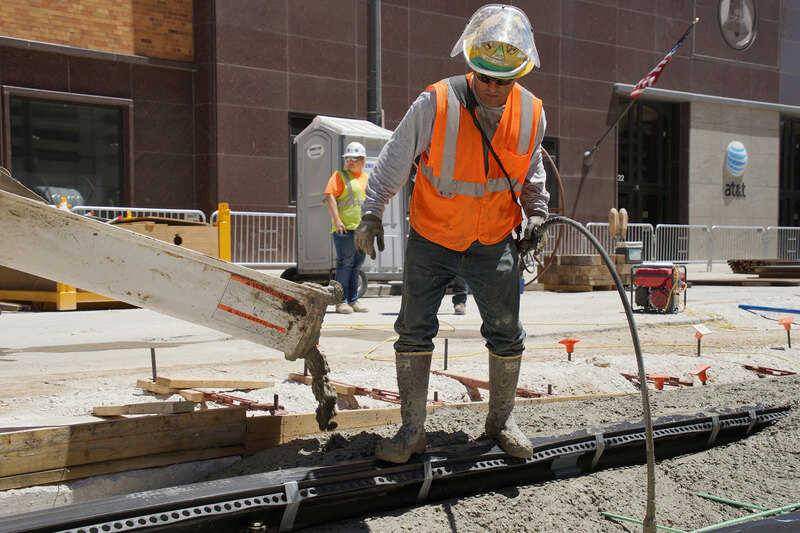 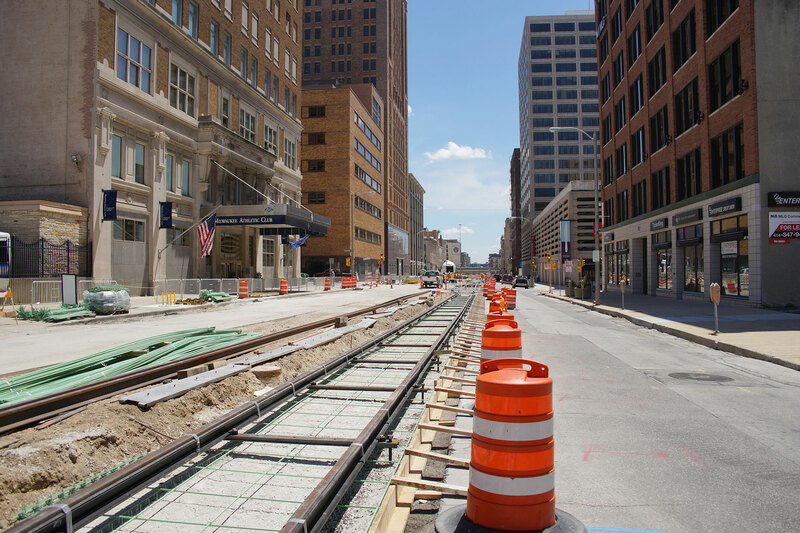 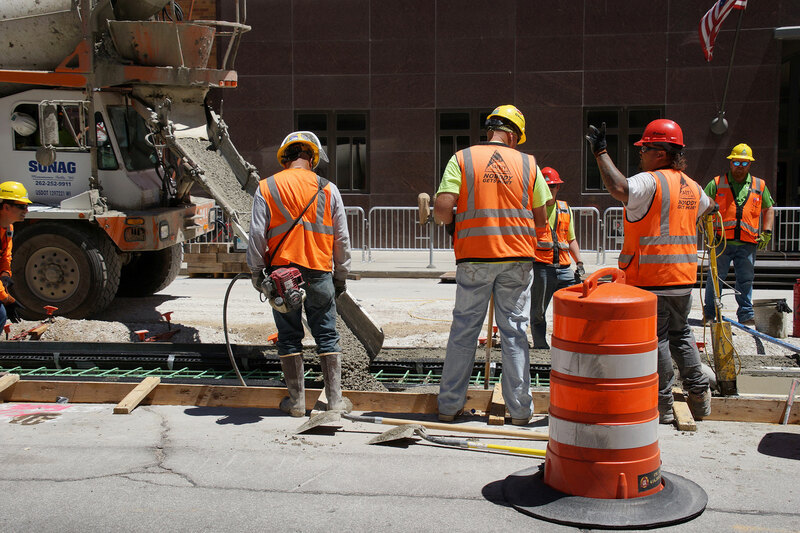 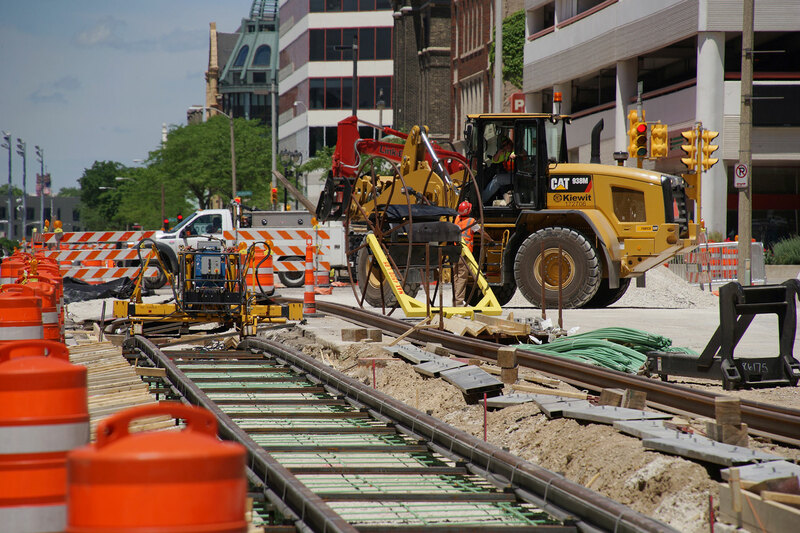 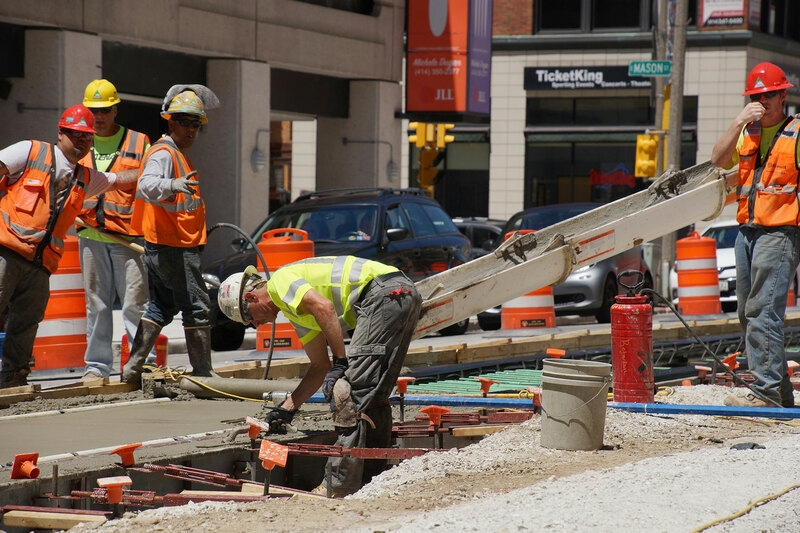 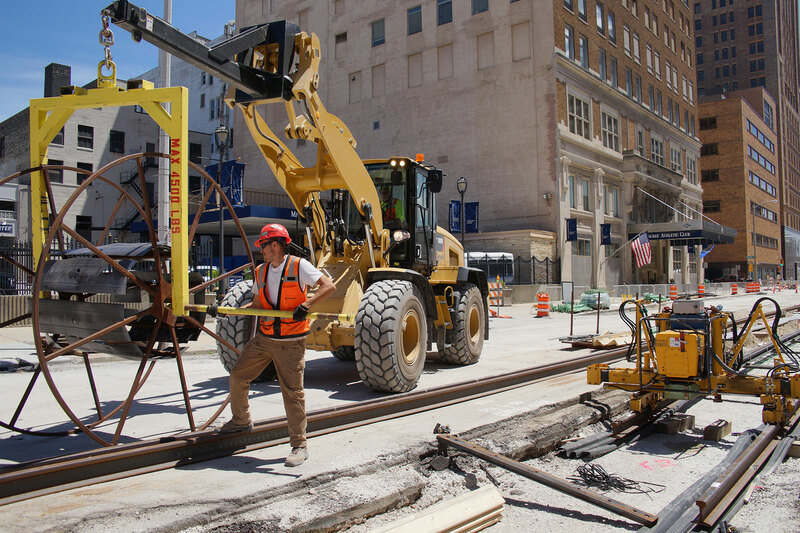 As tracks are installed along the Milwaukee Streetcar route, crews cement them into place decades after the original line was covered. 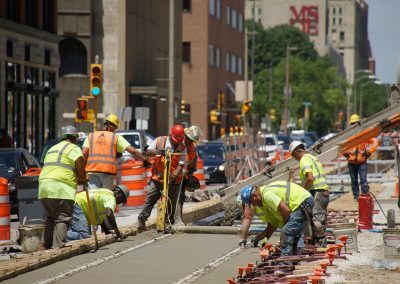 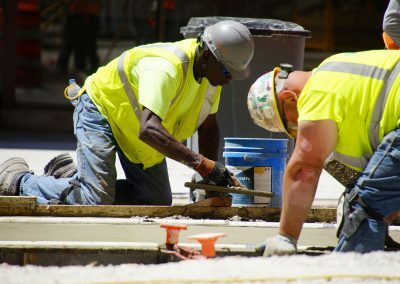 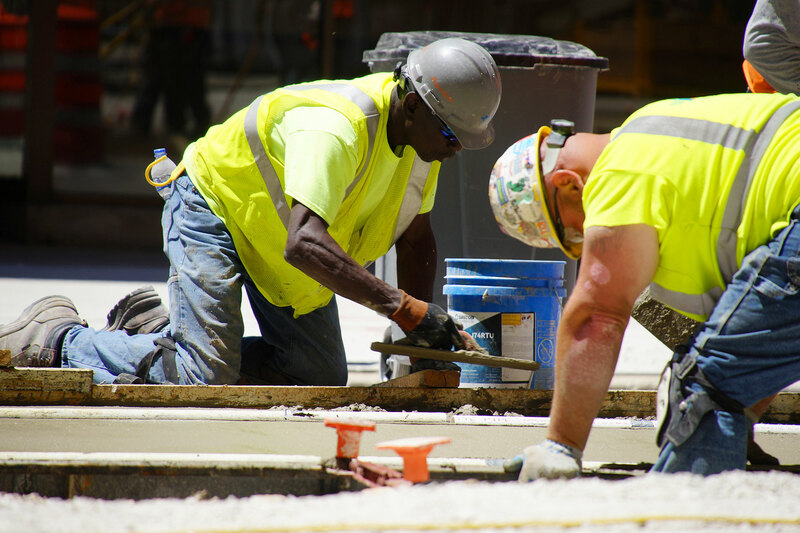 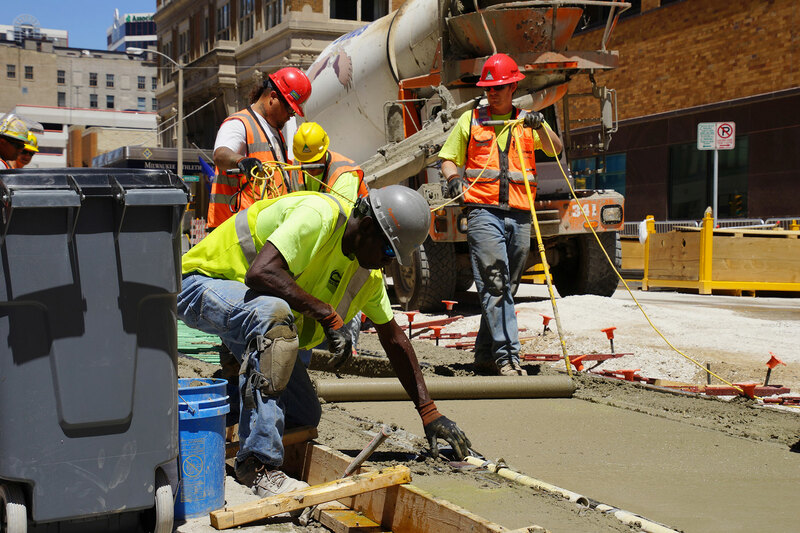 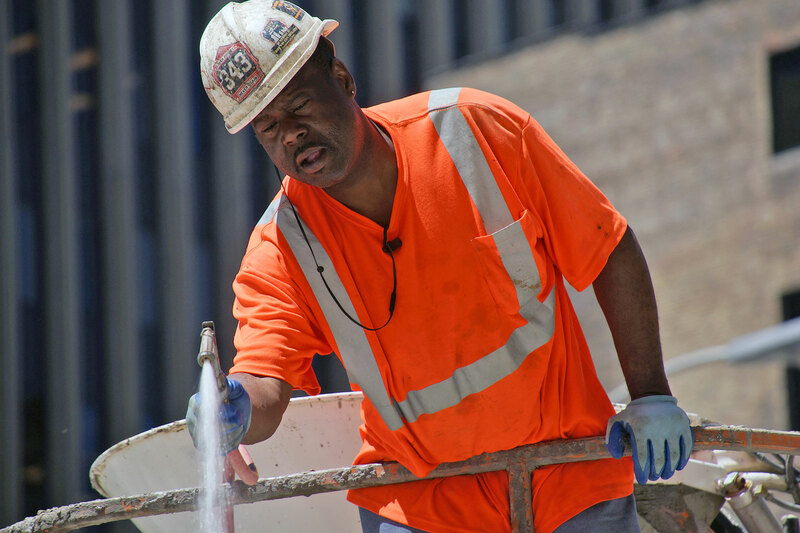 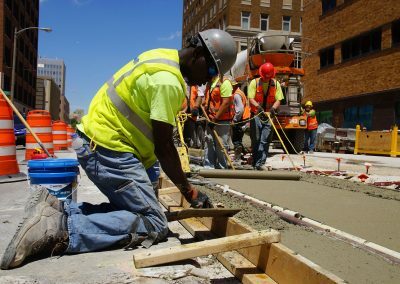 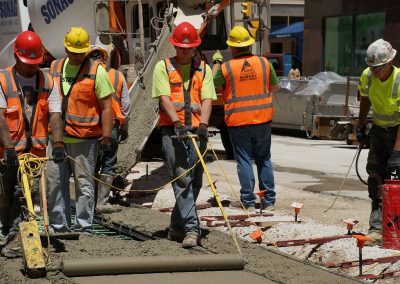 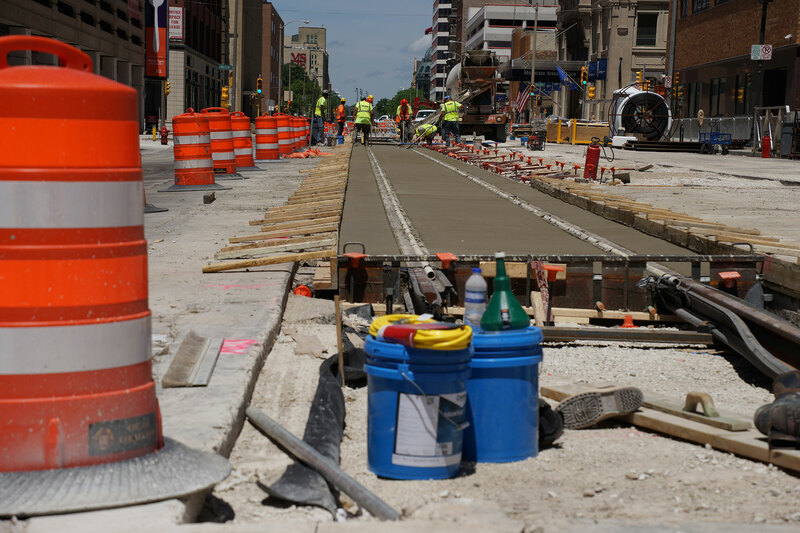 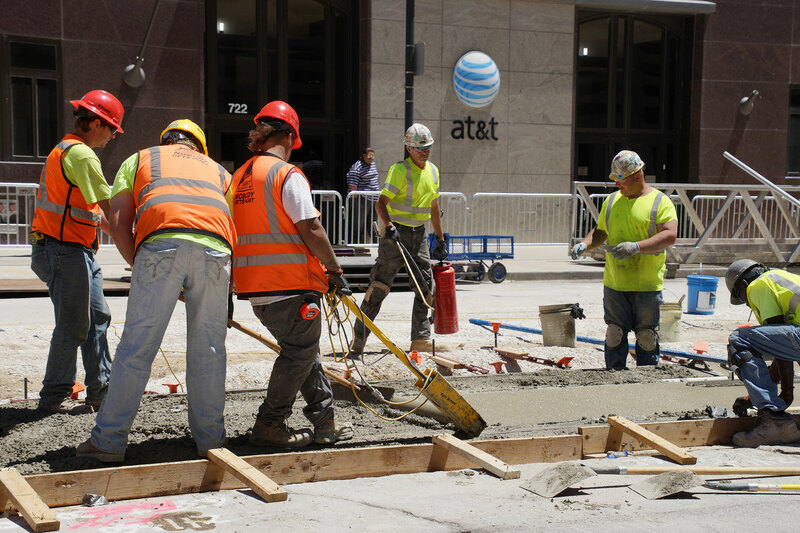 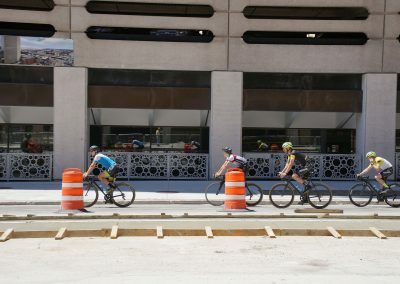 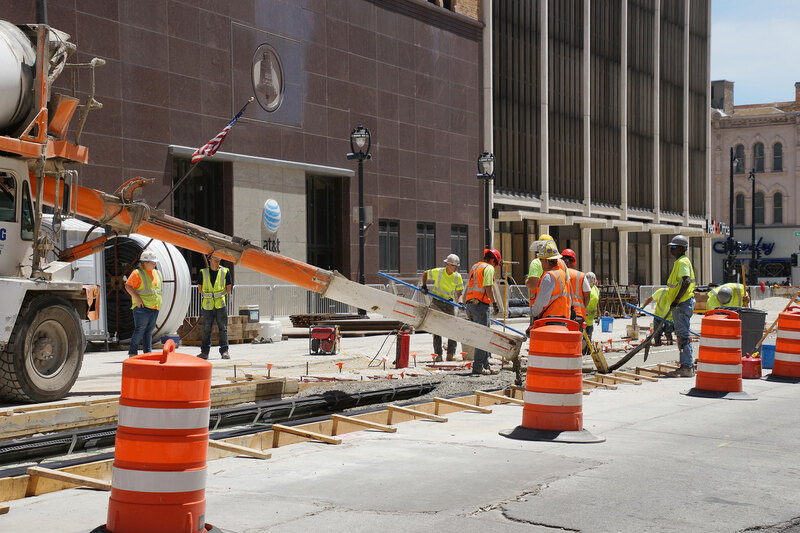 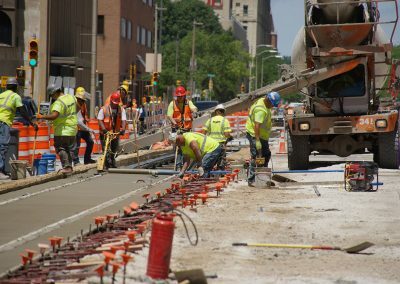 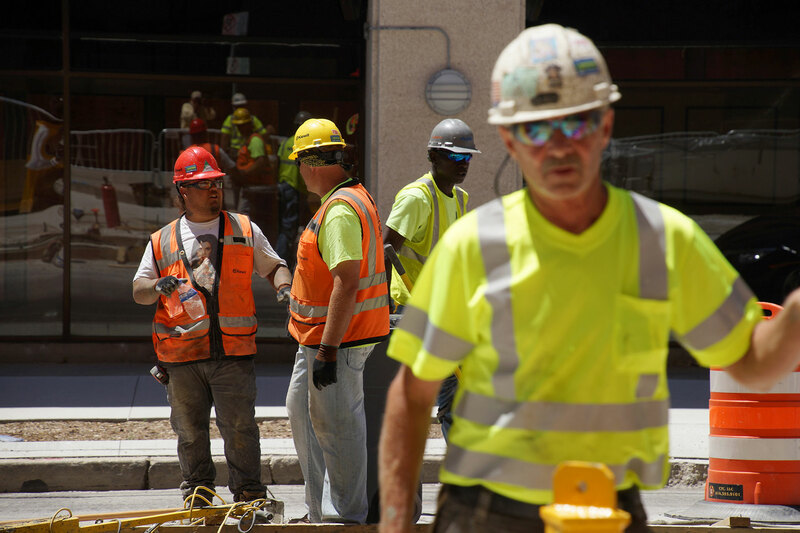 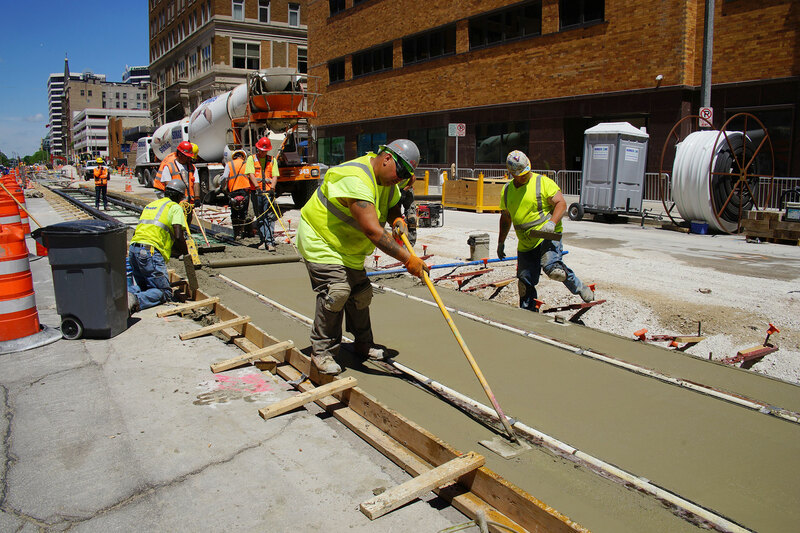 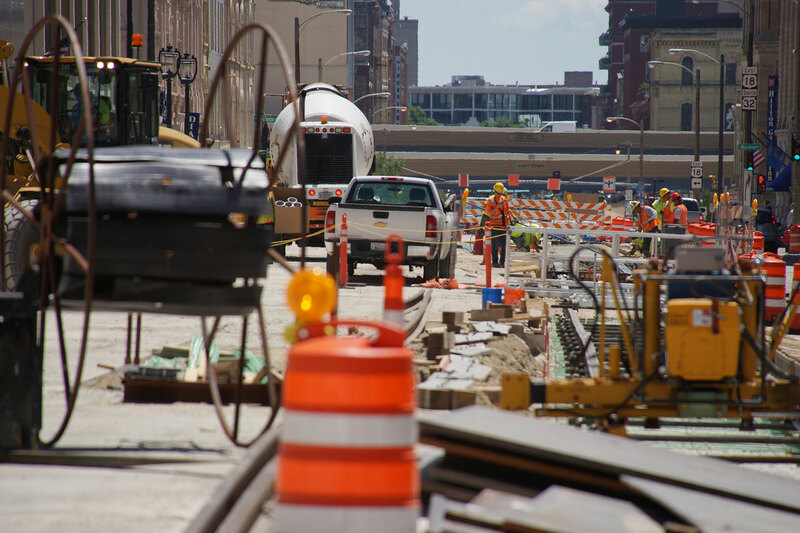 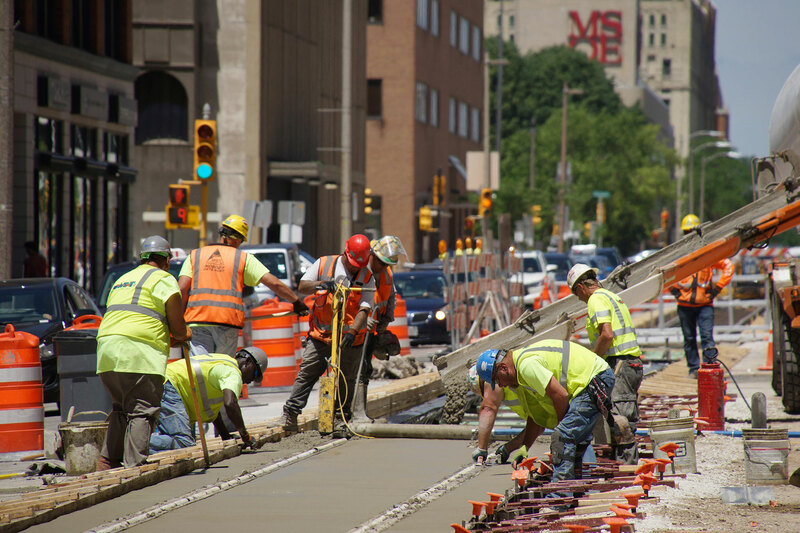 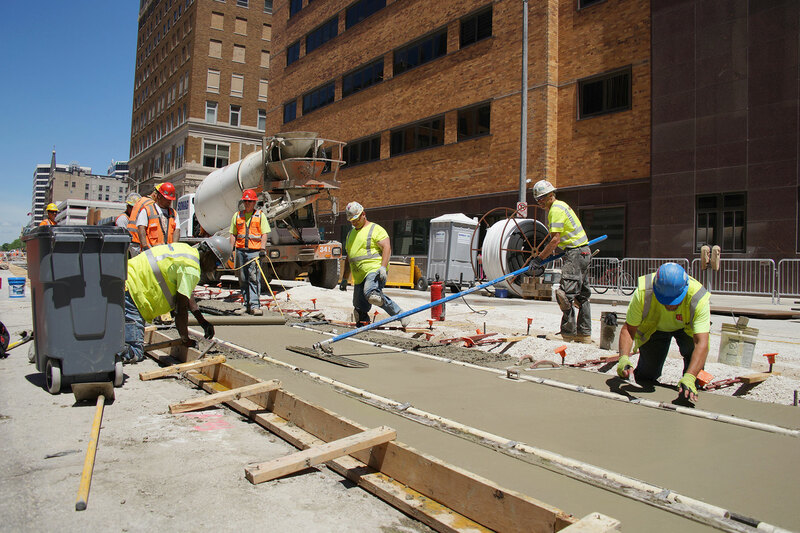 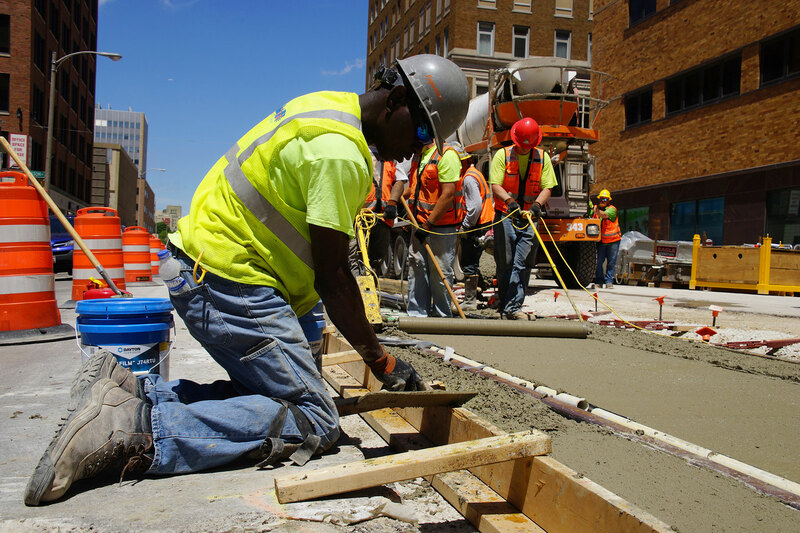 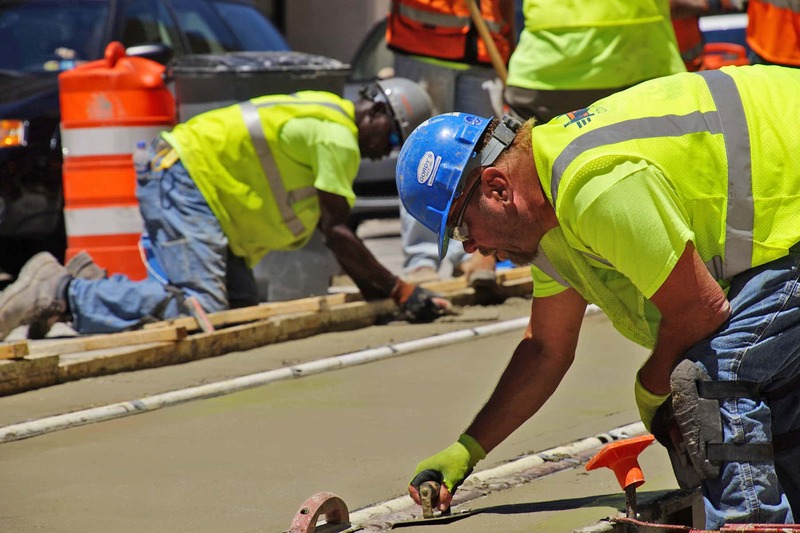 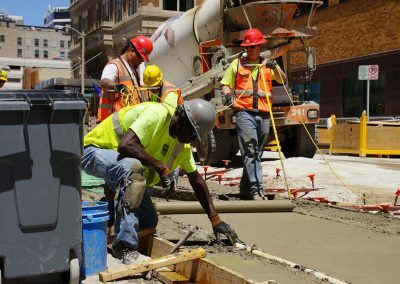 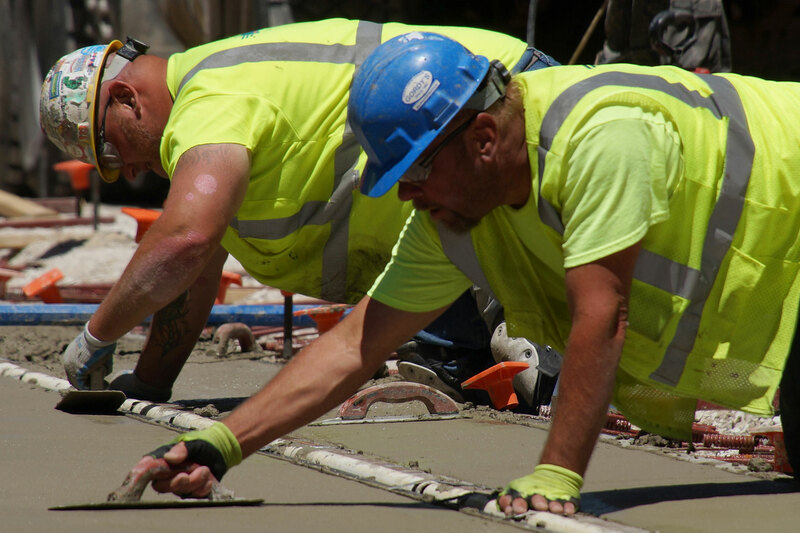 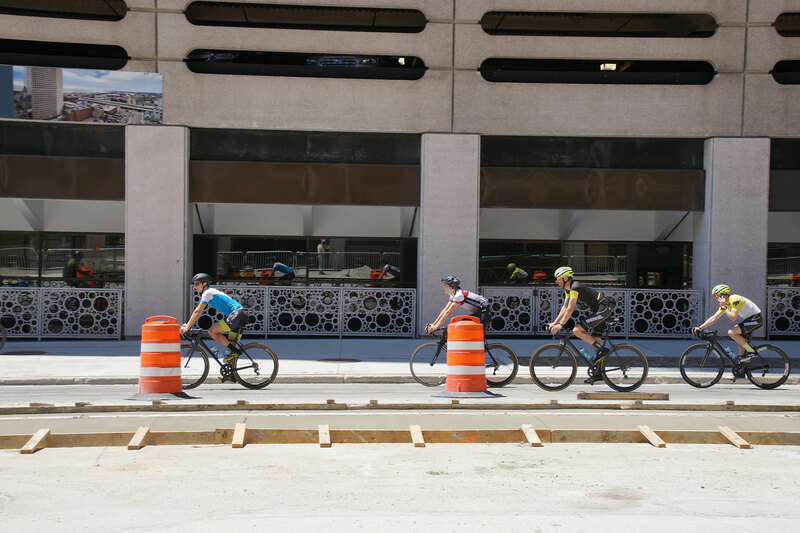 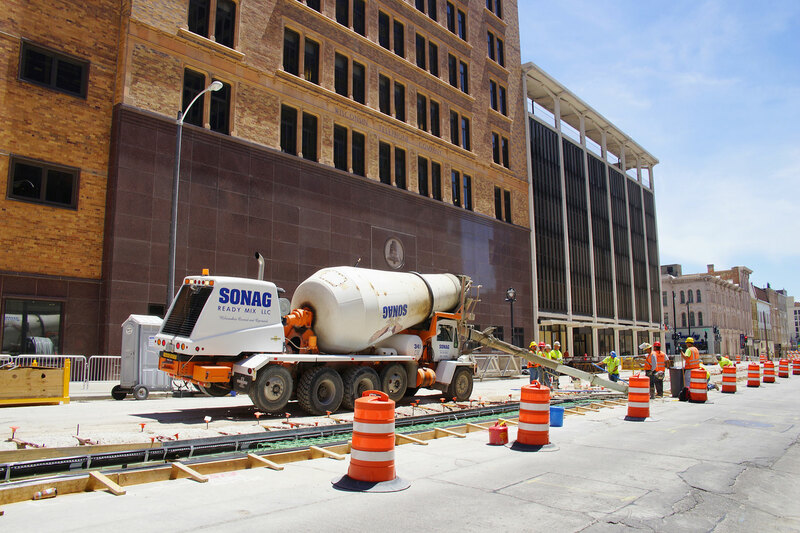 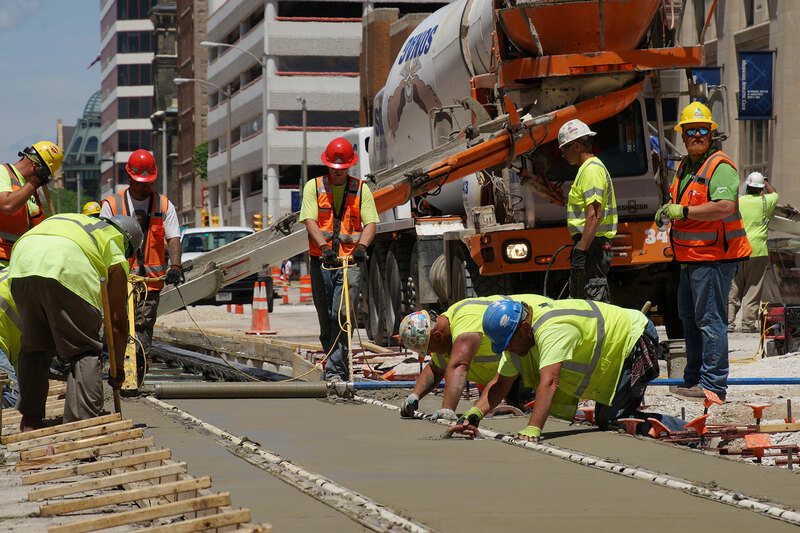 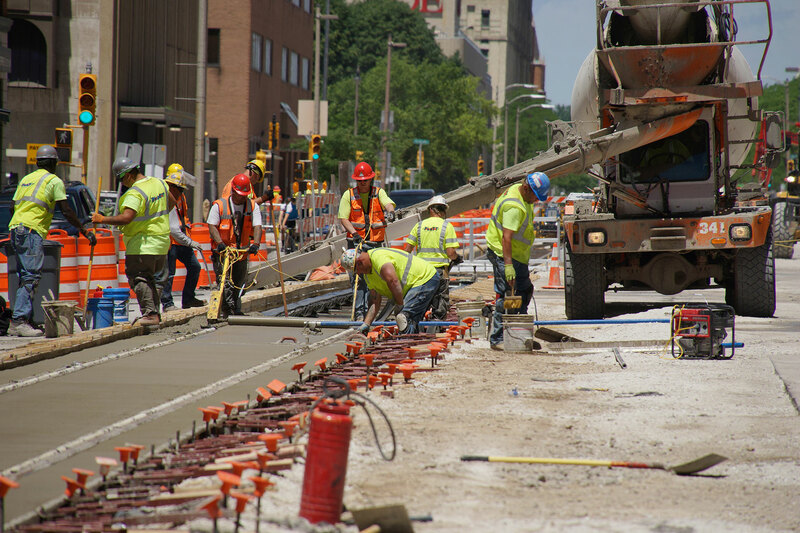 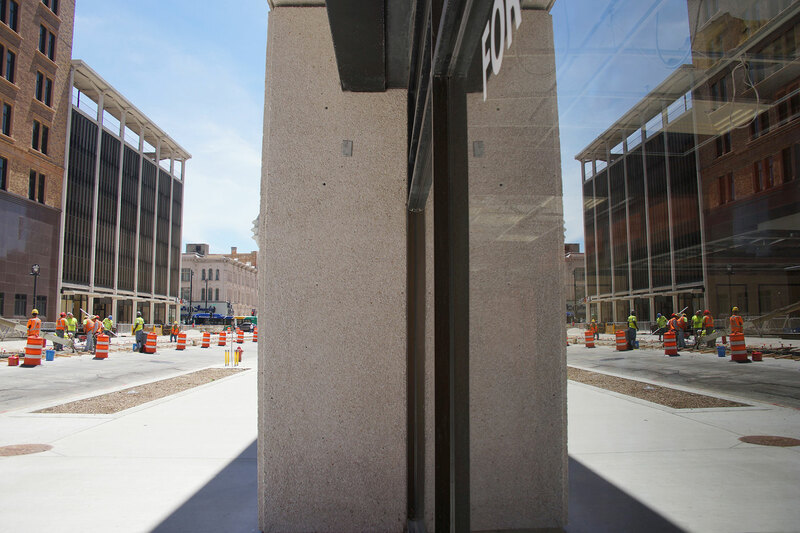 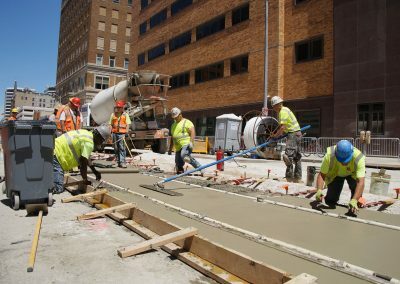 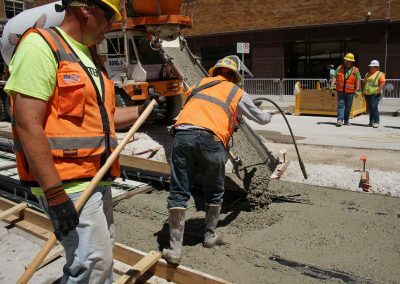 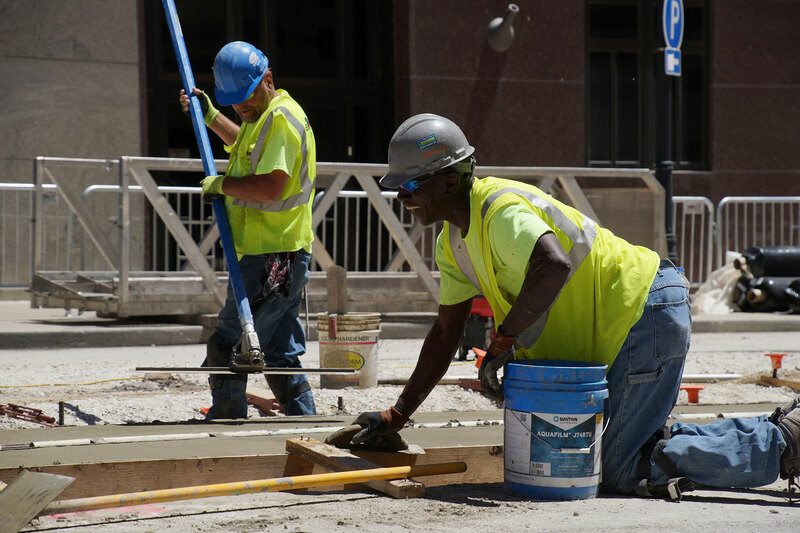 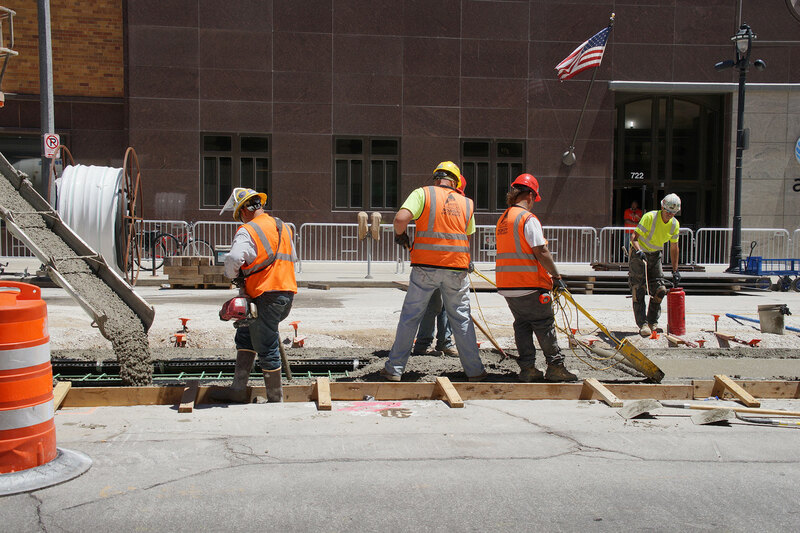 Along N. Milwaukee Street, workers poured an additional 320 feet of paving as construction of the new transit system moves through downtown. 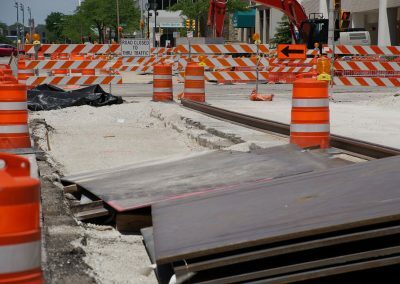 Recently, crews uncovered old rails from the 1800s that had been used for the original streetcar line along the same road. 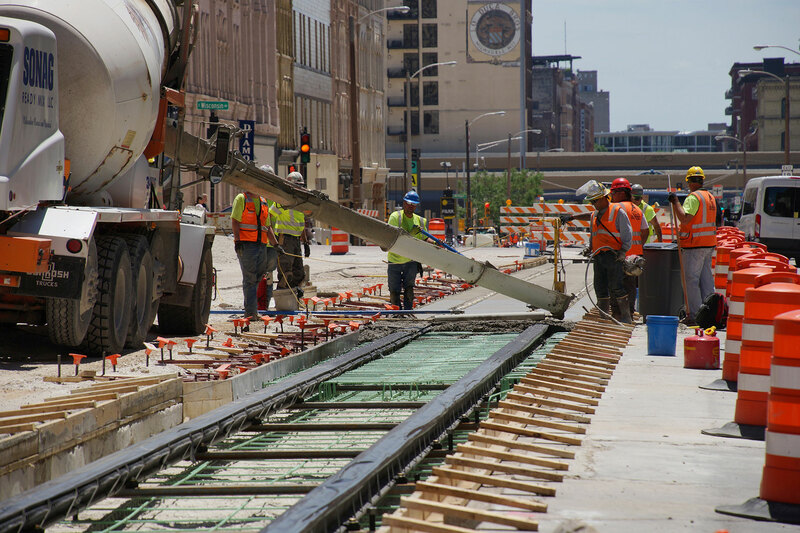 When that platform removed in 1958, much of the track length was paved over as the streets were reconstructed. 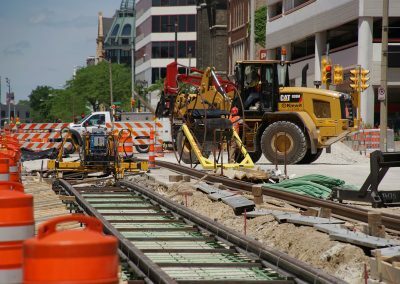 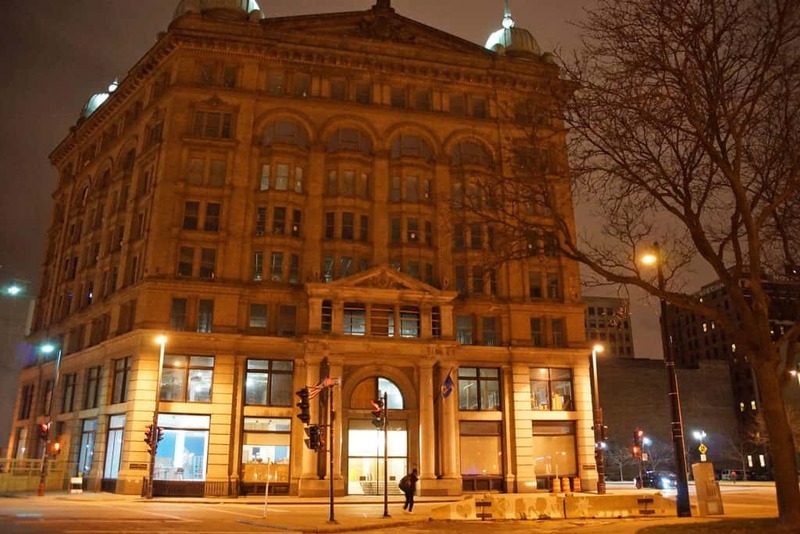 Next year when the Milwaukee Streetcar begins operations in 2018, it will close the 60 year gap left by the previous line’s decommission. 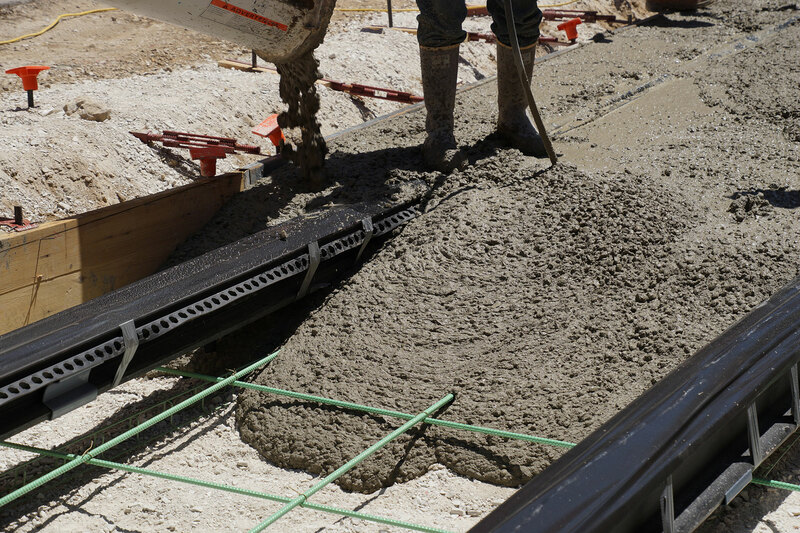 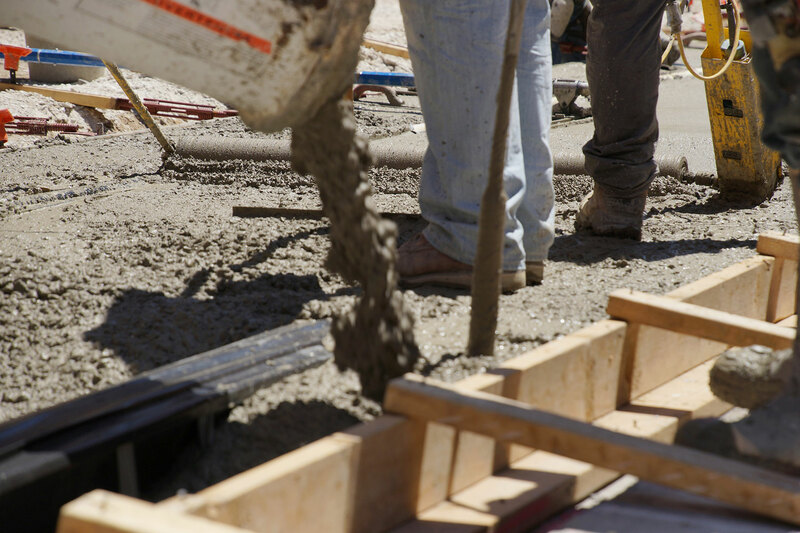 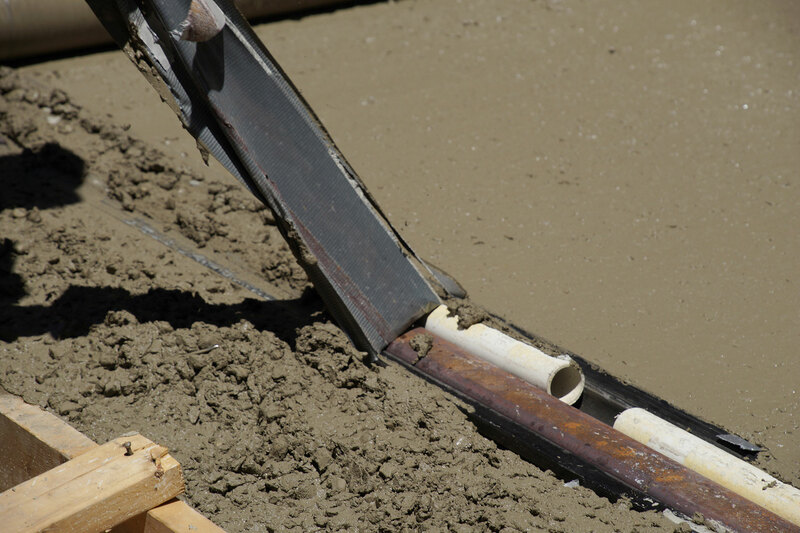 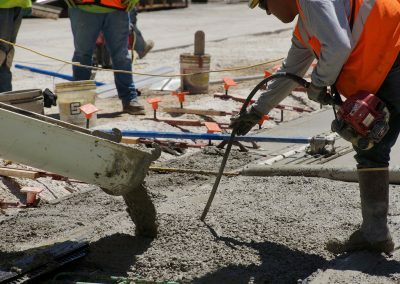 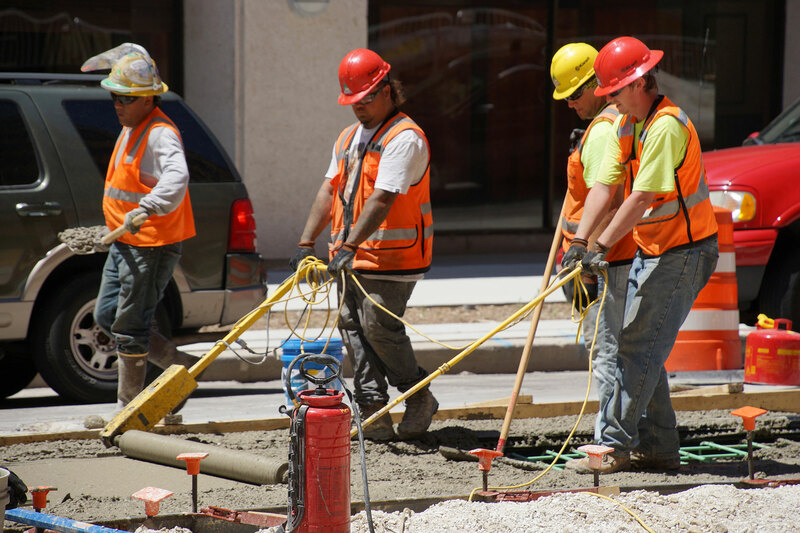 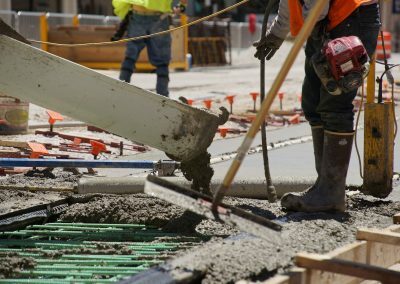 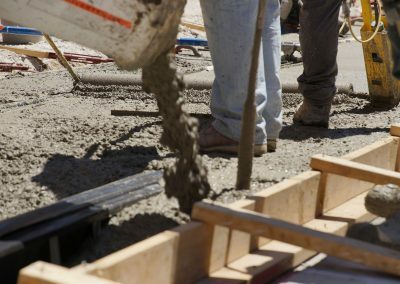 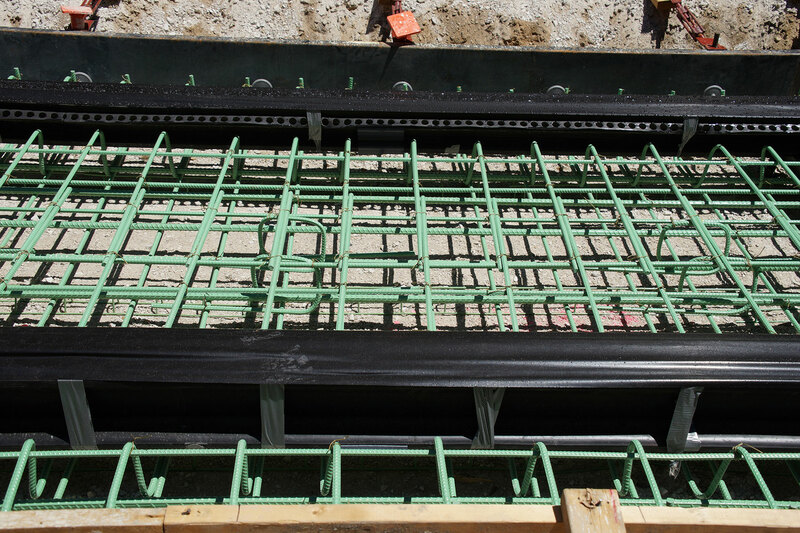 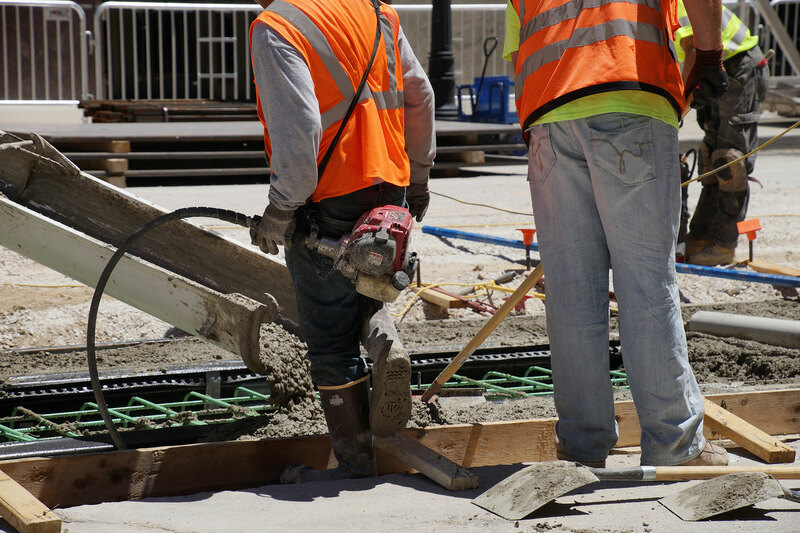 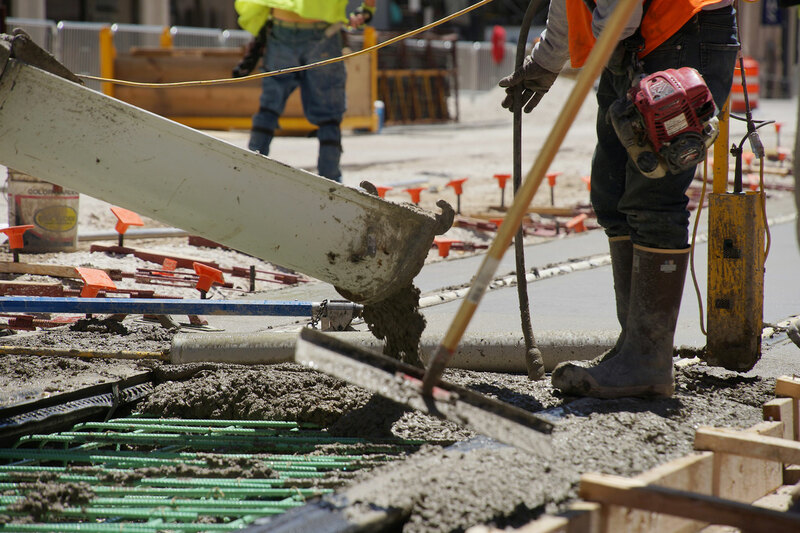 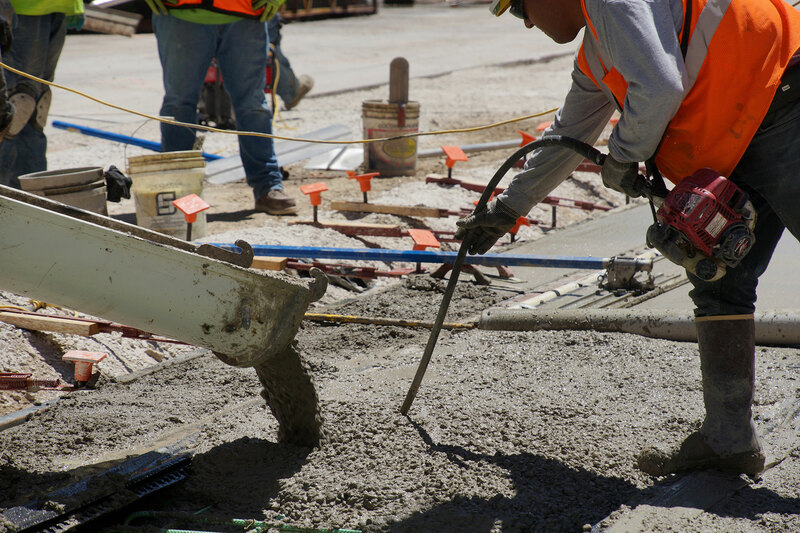 These photos feature the efforts by work crews as they poured concrete into the street trenches that were dug for track installation. 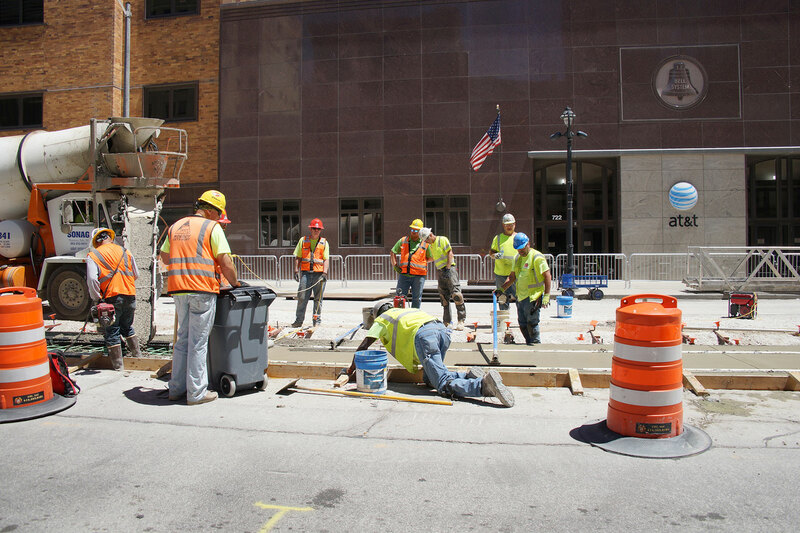 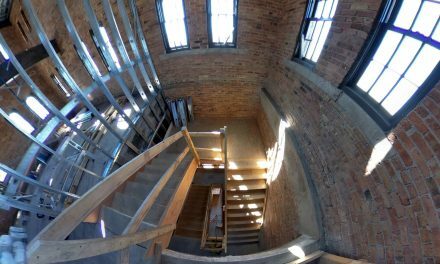 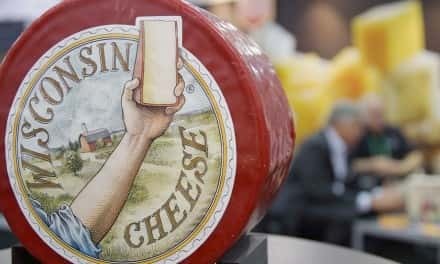 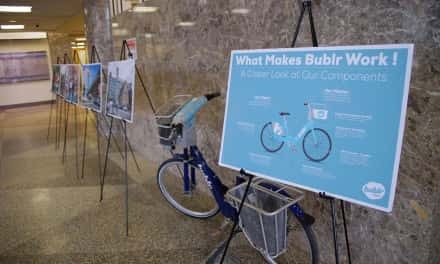 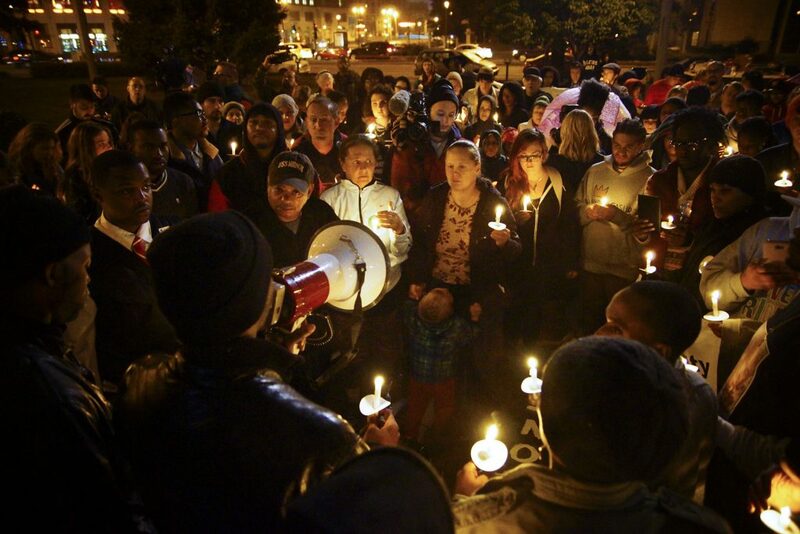 The images also reflect the realization that members of the crew reflect the various ethnic backgrounds of local Milwaukee residents.